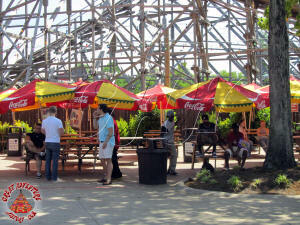 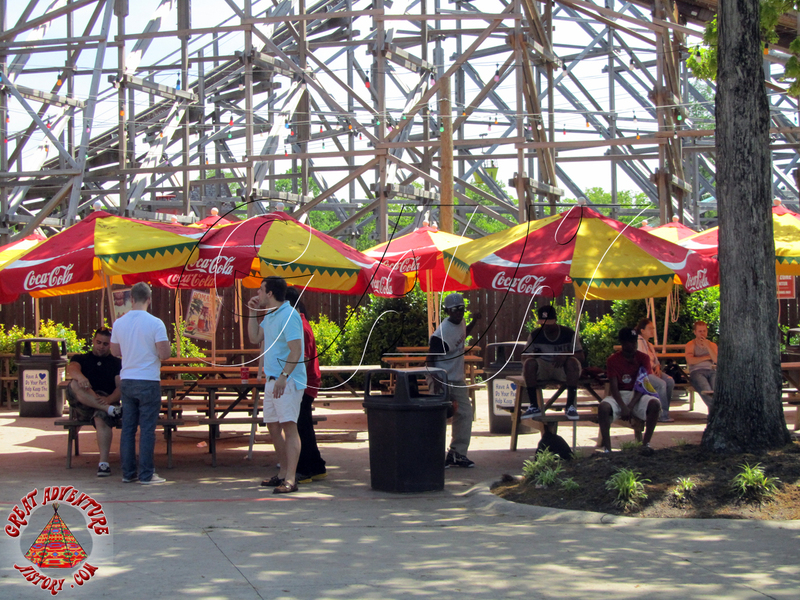 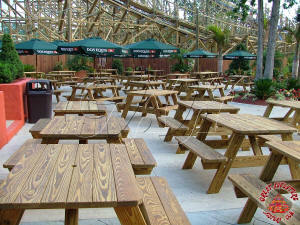 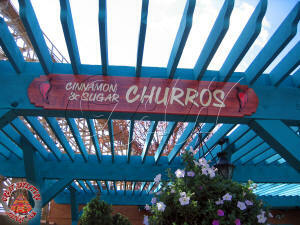 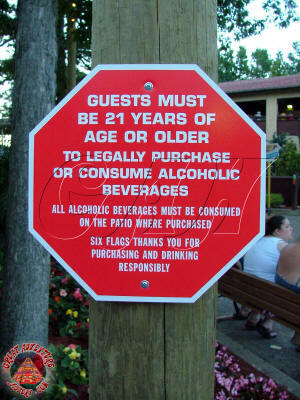 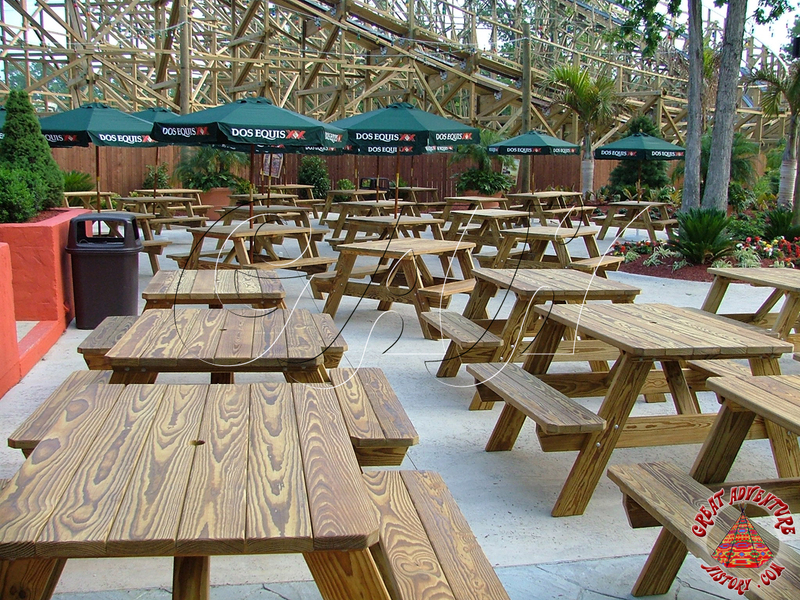 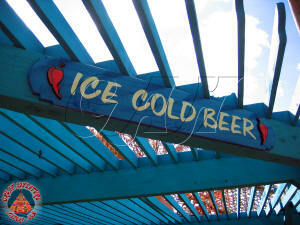 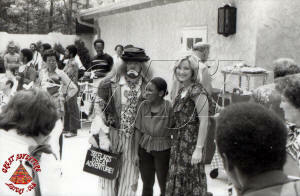 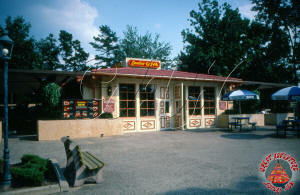 Food is a big part of any fun day at a theme park, and parks have always strived to provide a wide variety of choices. 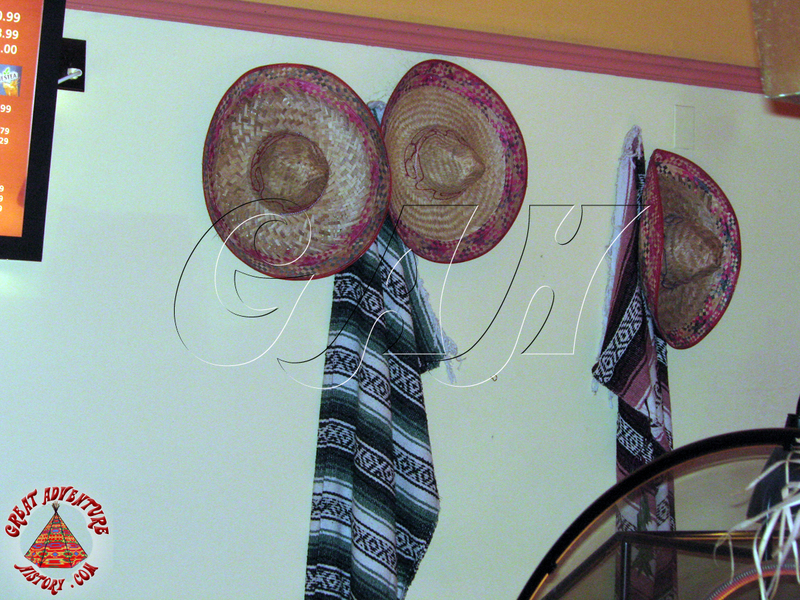 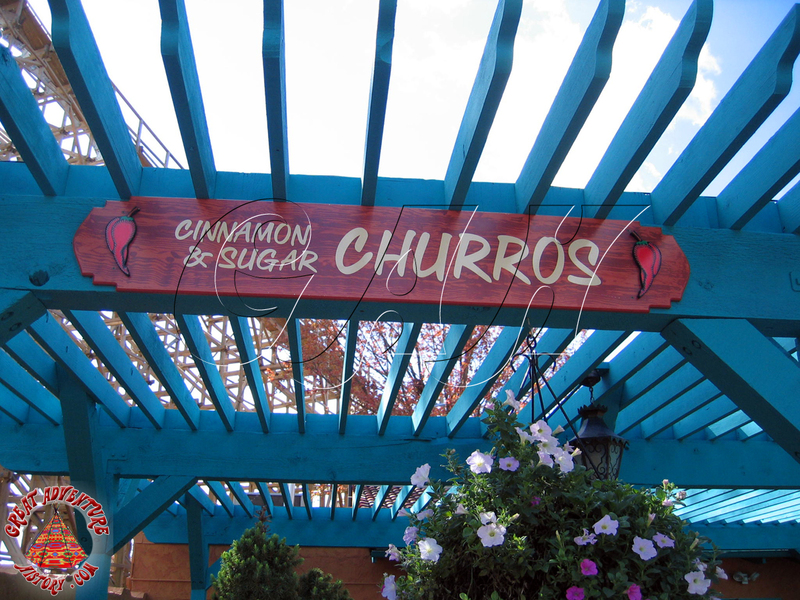 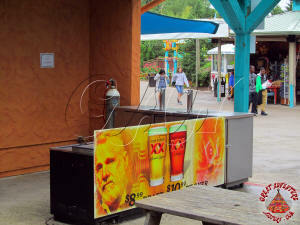 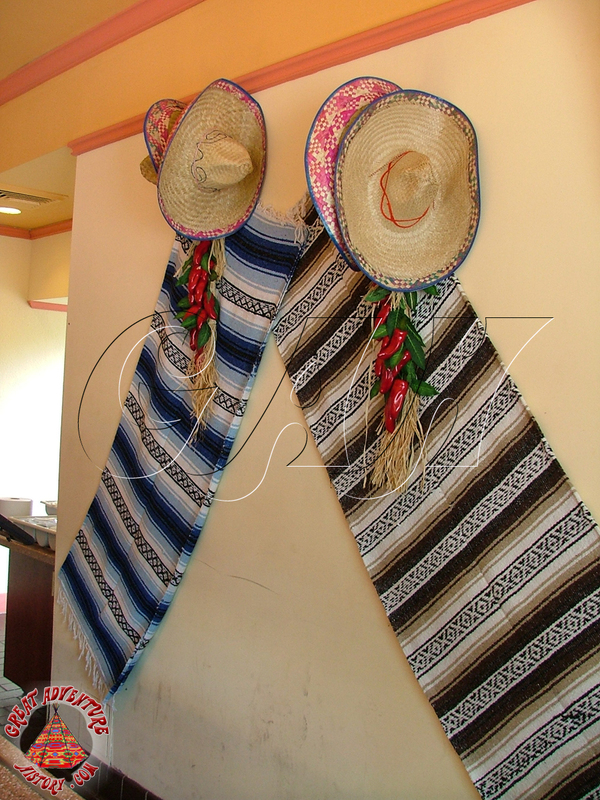 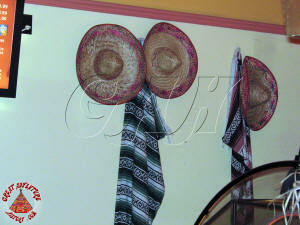 One of the more recent selections has been the inclusion of Mexican food which is often featured as part of western themed areas. 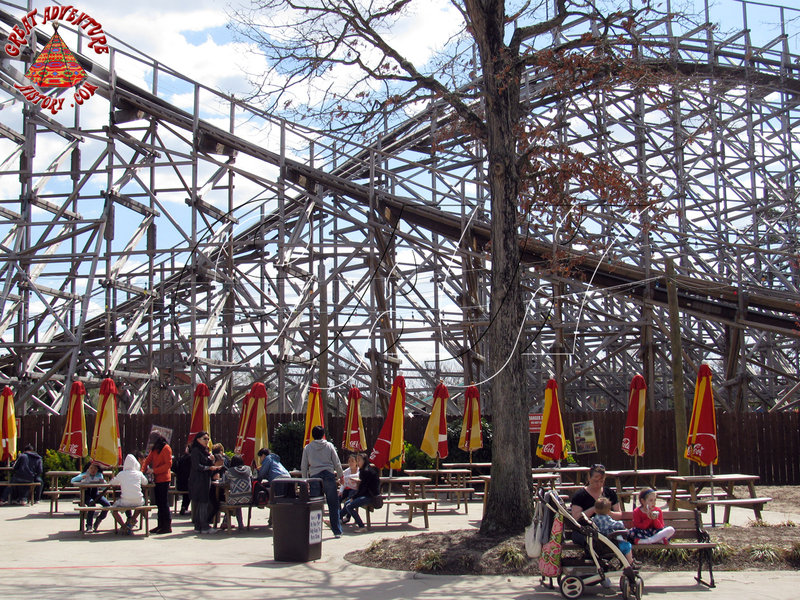 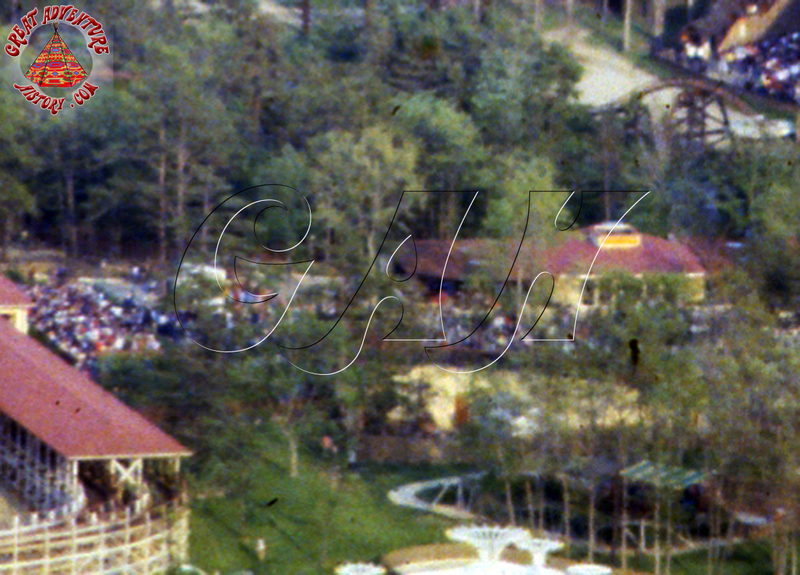 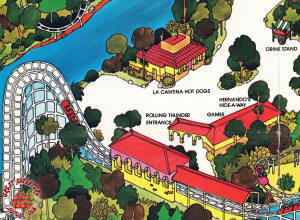 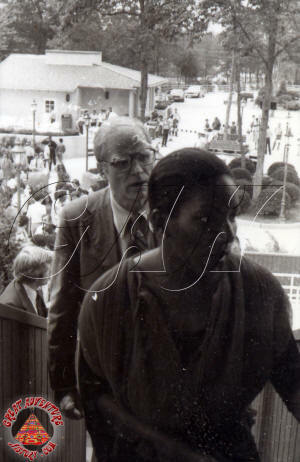 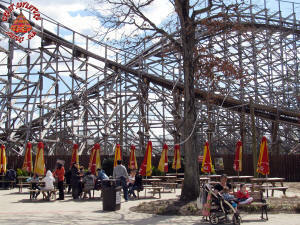 In 1979, Great Adventure added the new Rolling Thunder wooden roller coaster as part of the Hernando's Hideaway southwestern themed area of the park. 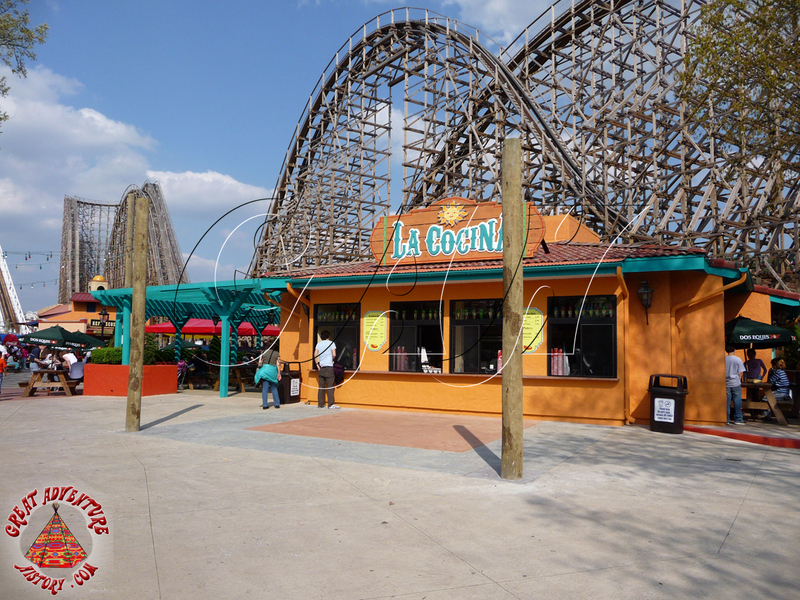 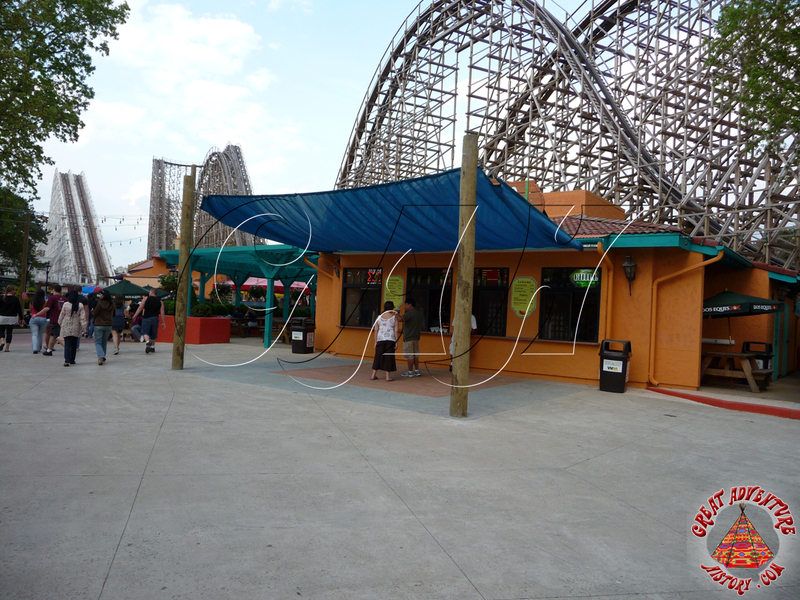 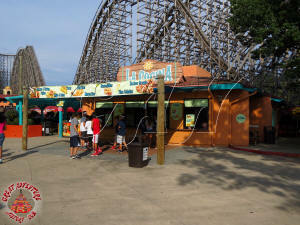 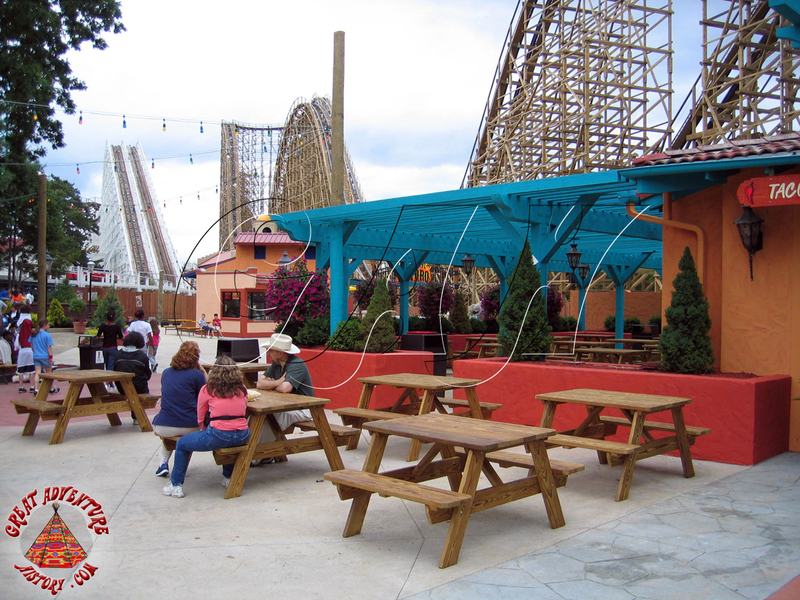 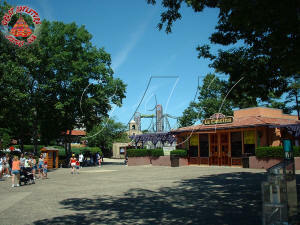 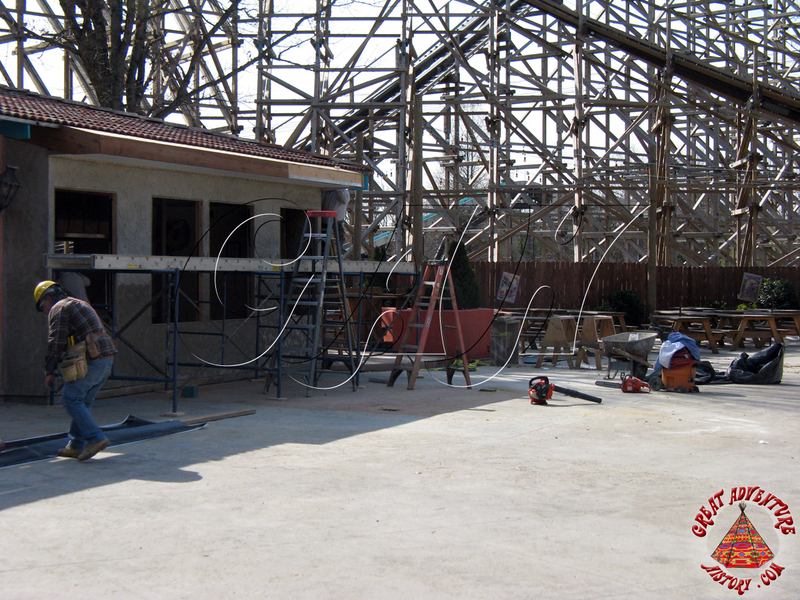 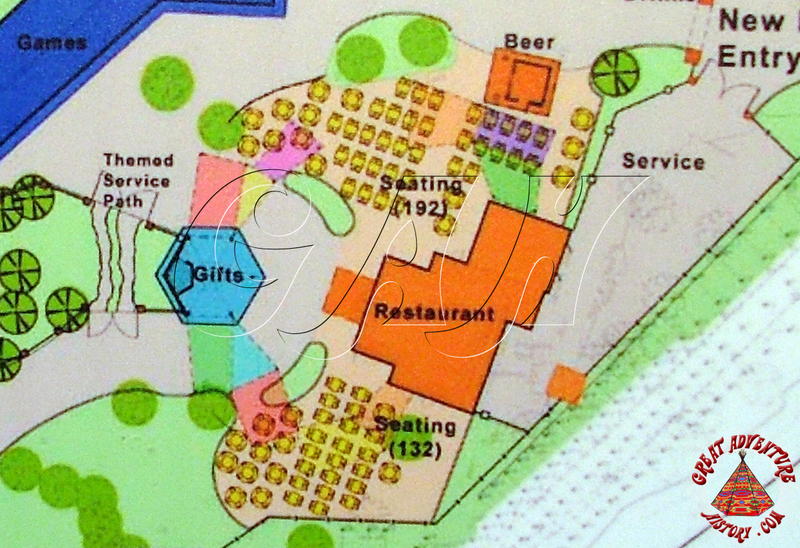 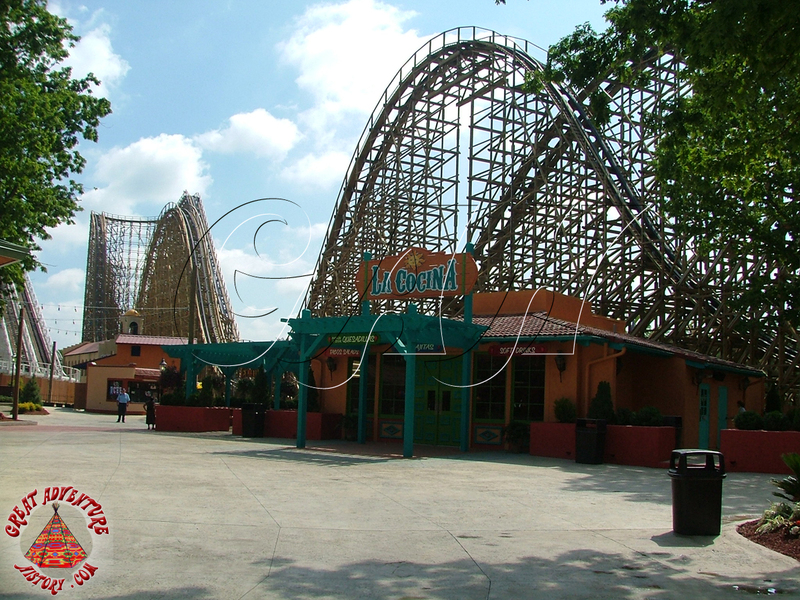 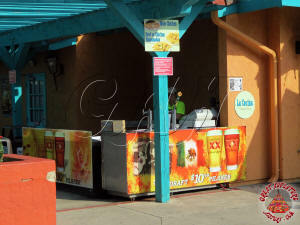 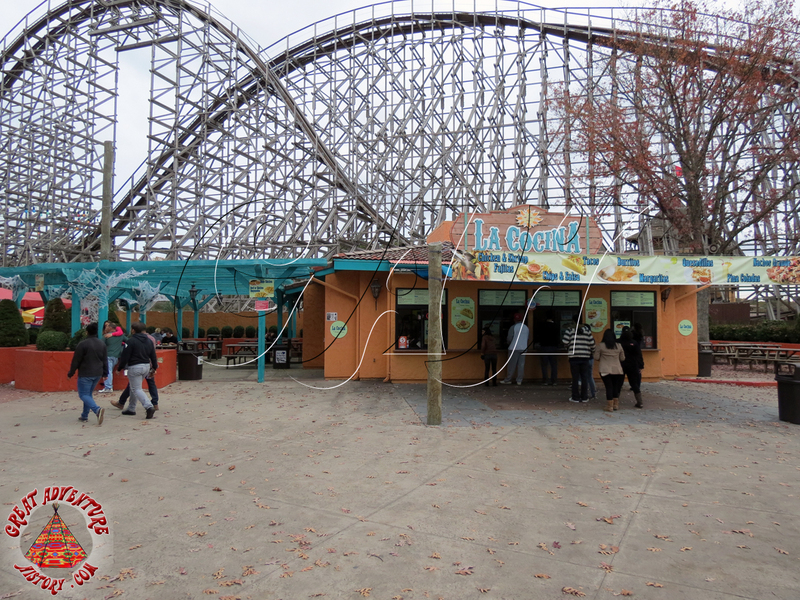 In addition to the new coaster the expansive section included a games area, merchandise location, a snack stand, and a new restaurant called La Cantina. 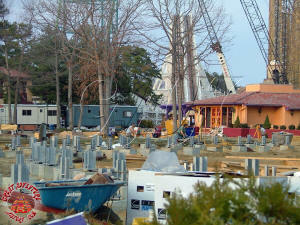 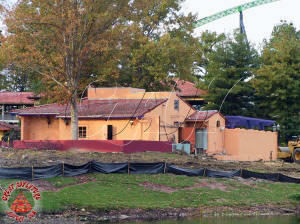 All of the new structures featured beige stucco exteriors topped off with orange ceramic roof tiles. 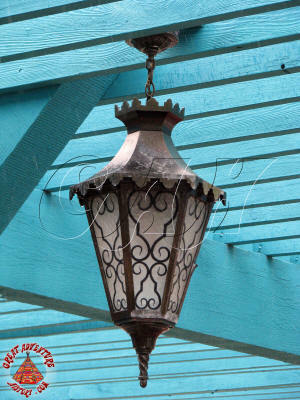 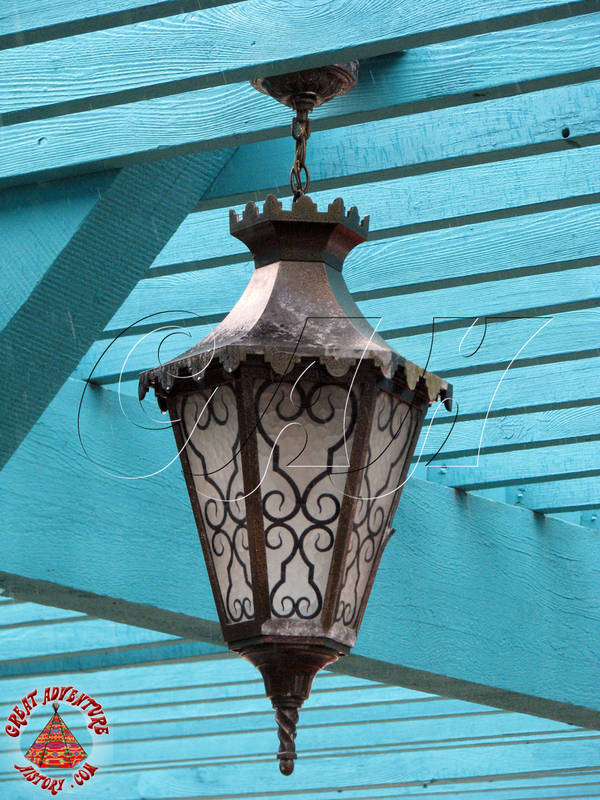 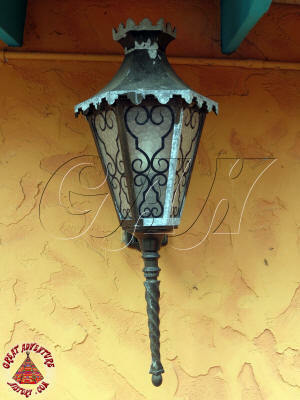 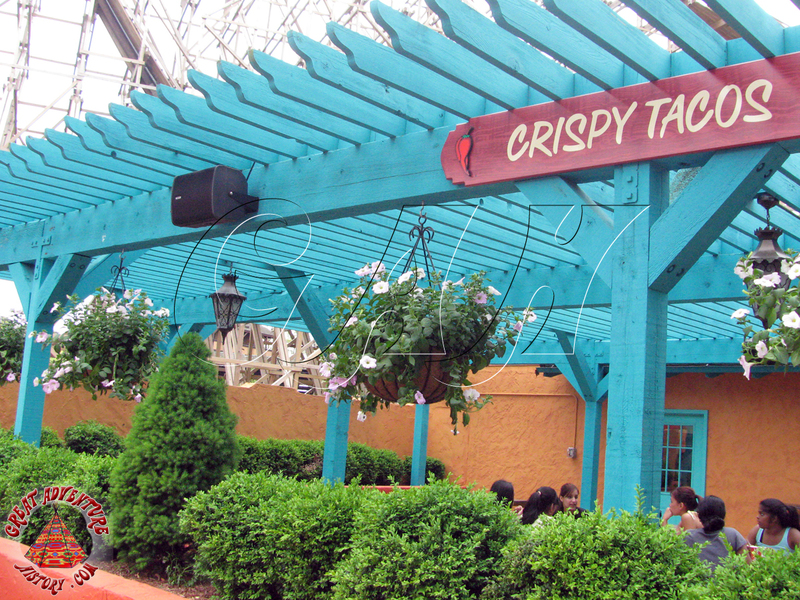 Lighting fixtures throughout the section extended the southwestern feel and theme. 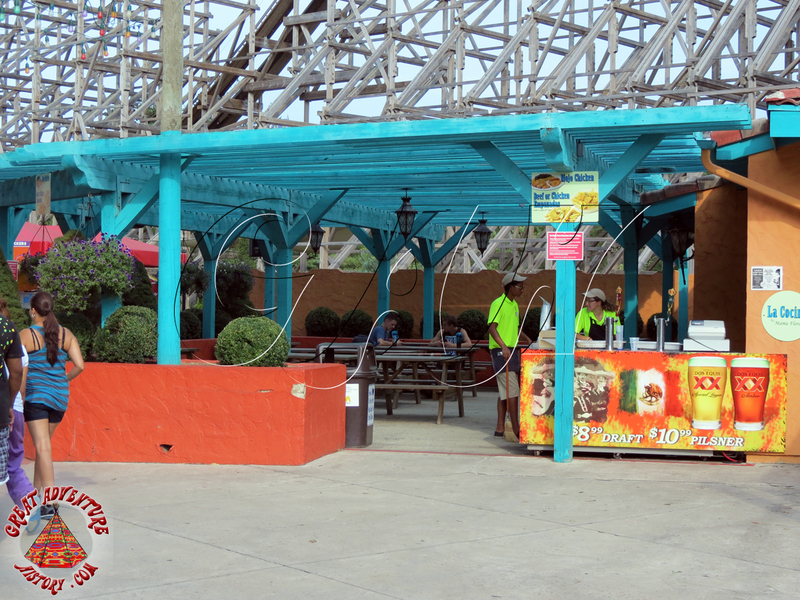 For the first two seasons, La Cantina (which translated means "the canteen") served hot dogs while the other area's food stand, Casa de Taco, offered true Mexican favorites. 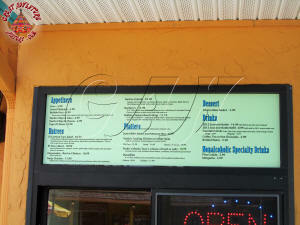 However, starting in the 1981 season La Cantina's menu changed to include tacos, bringing foods that fit the larger eatery's architectural style. 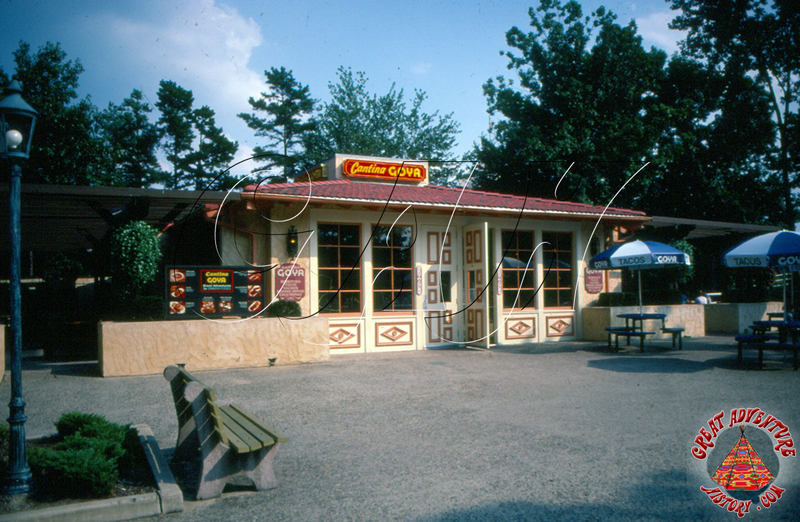 In 1982, the Goya food company came onboard as a sponsor furthering the array of food offerings including burritos, fajitas, and nachos. 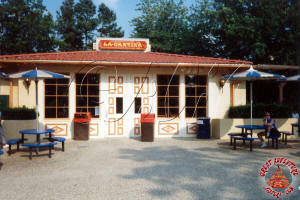 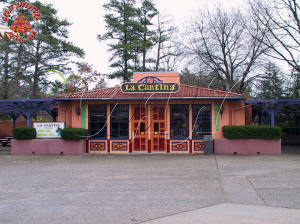 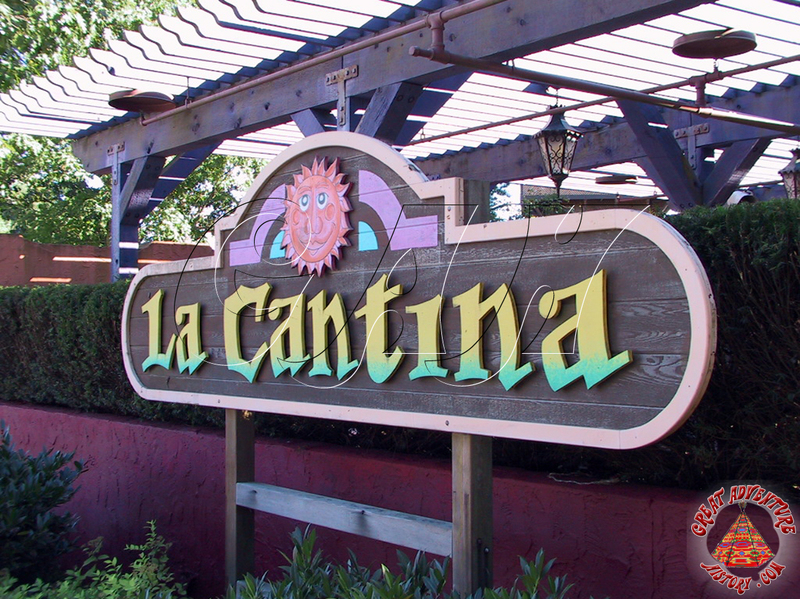 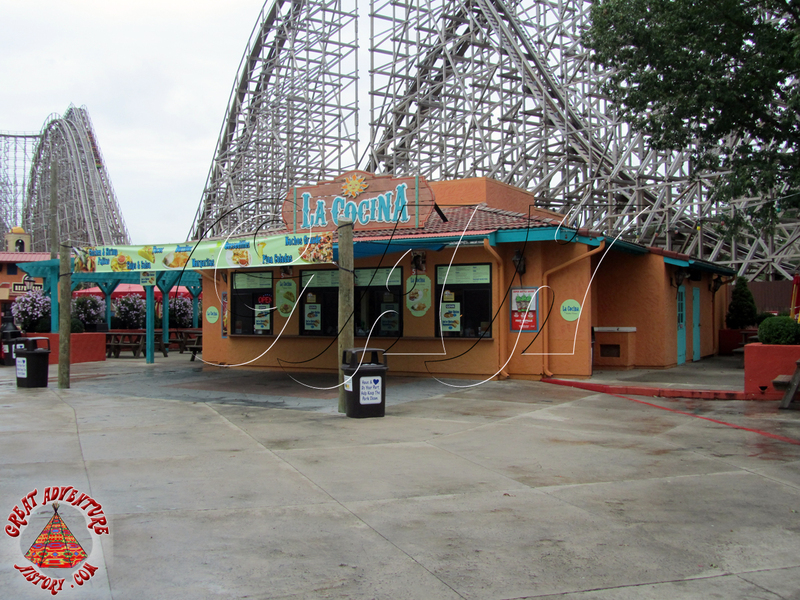 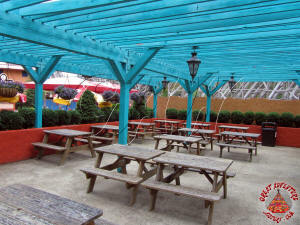 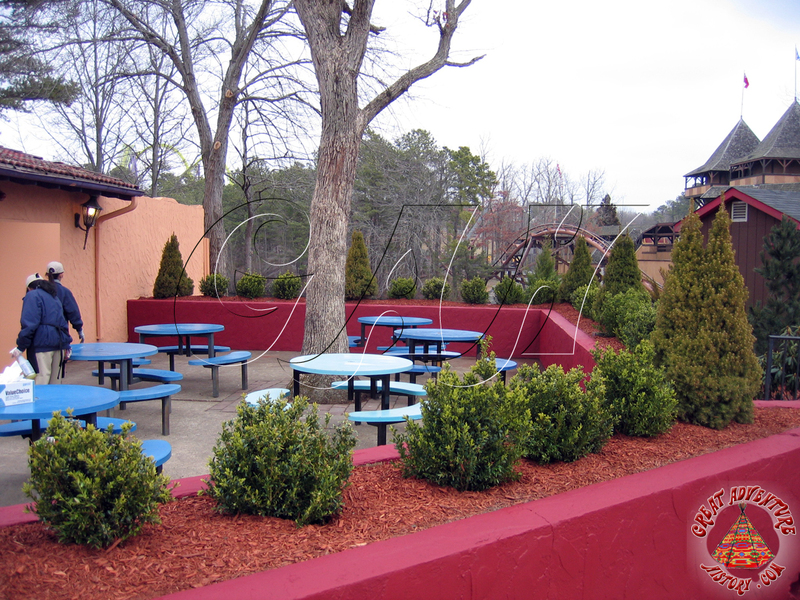 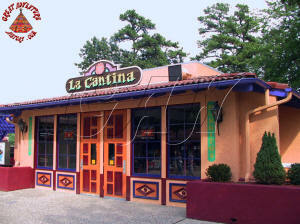 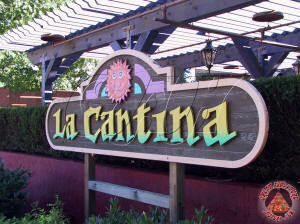 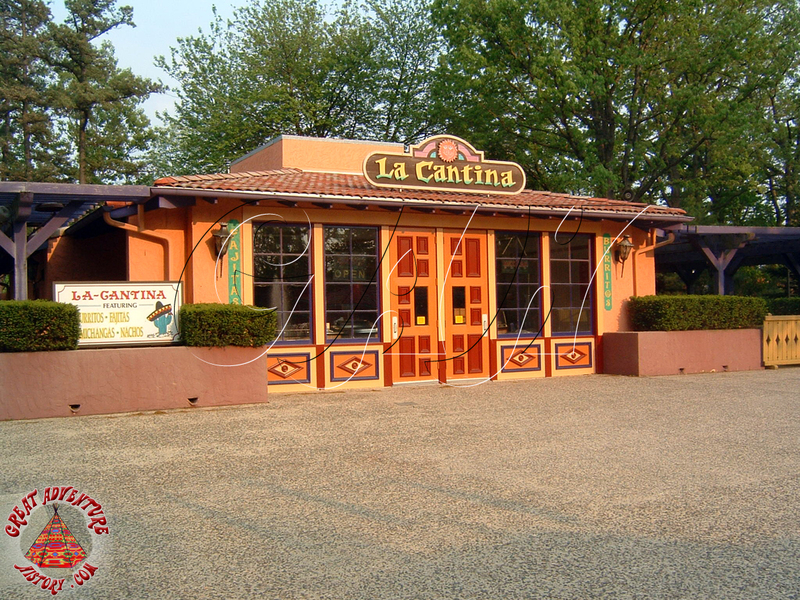 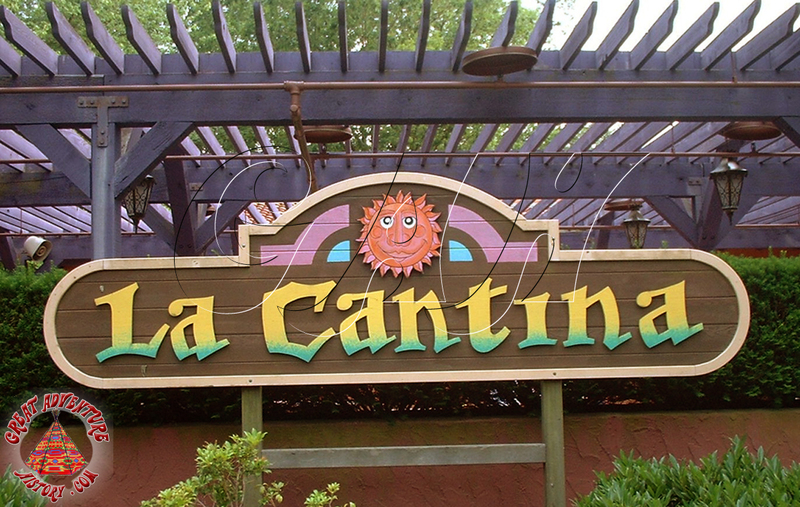 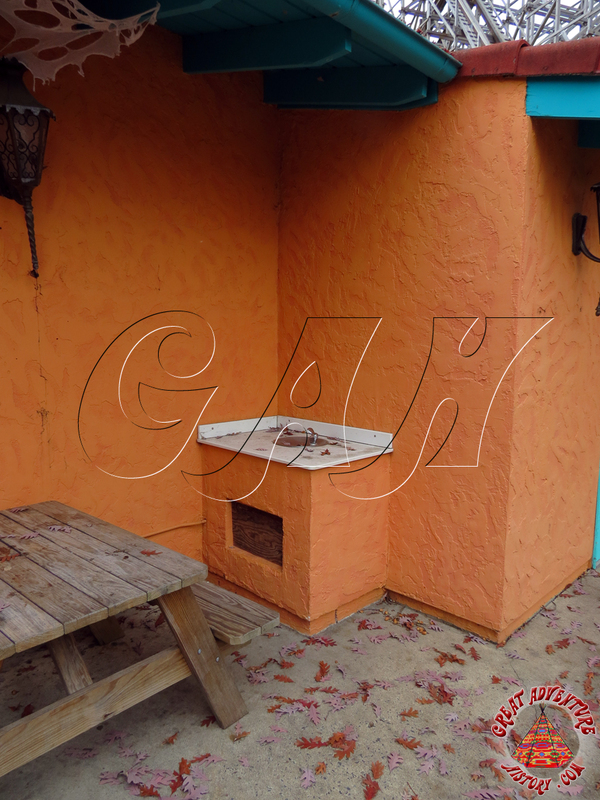 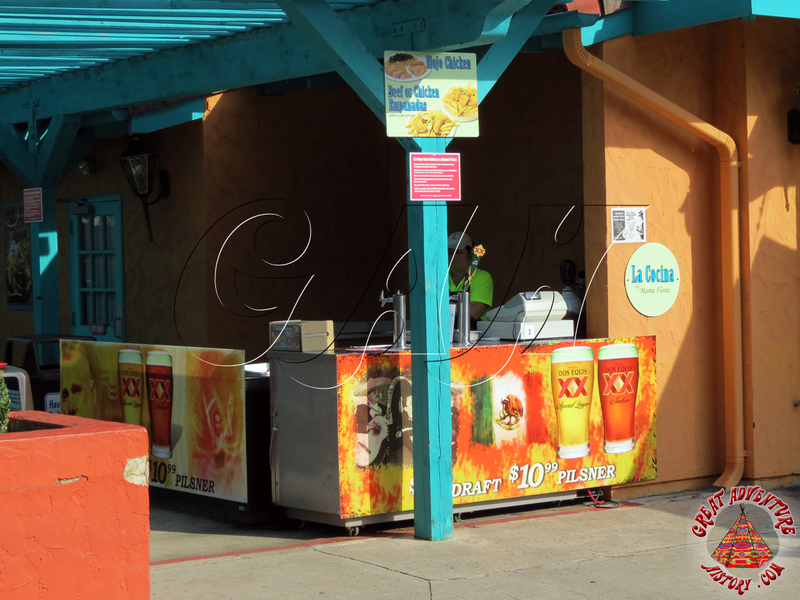 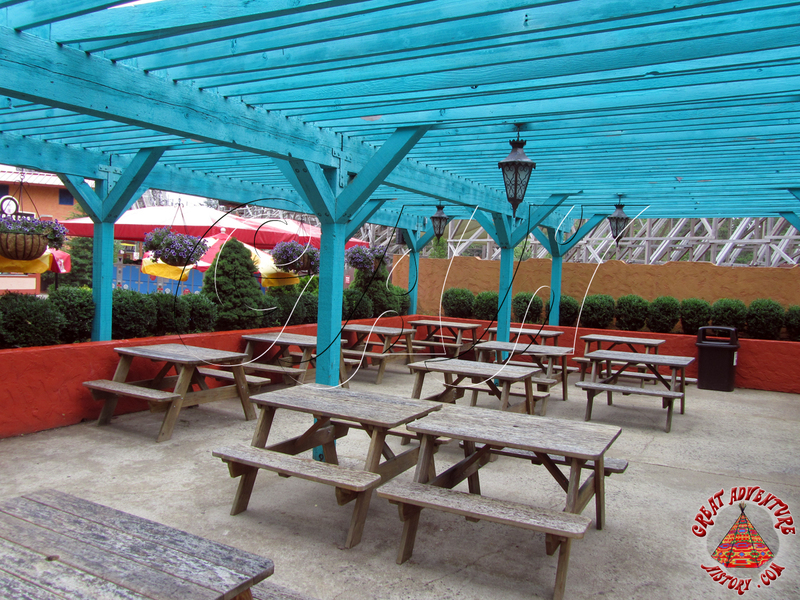 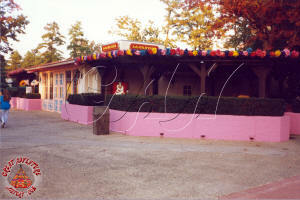 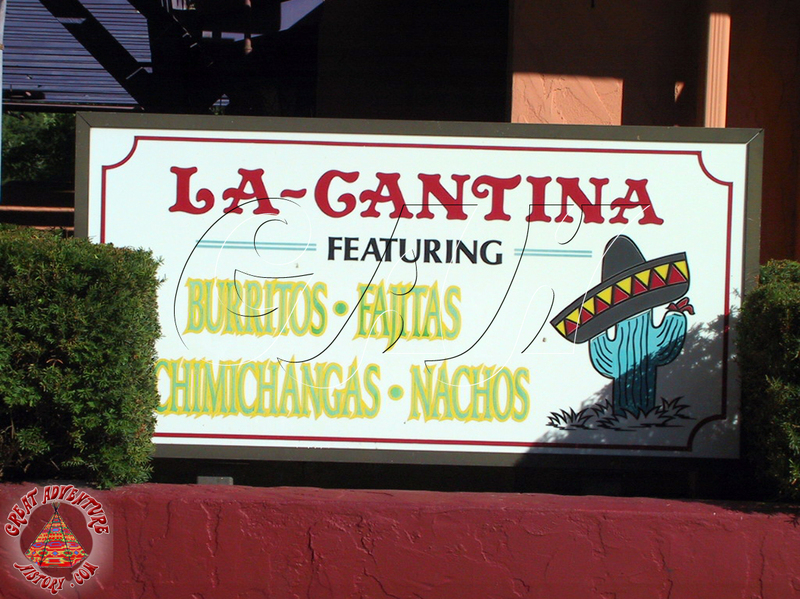 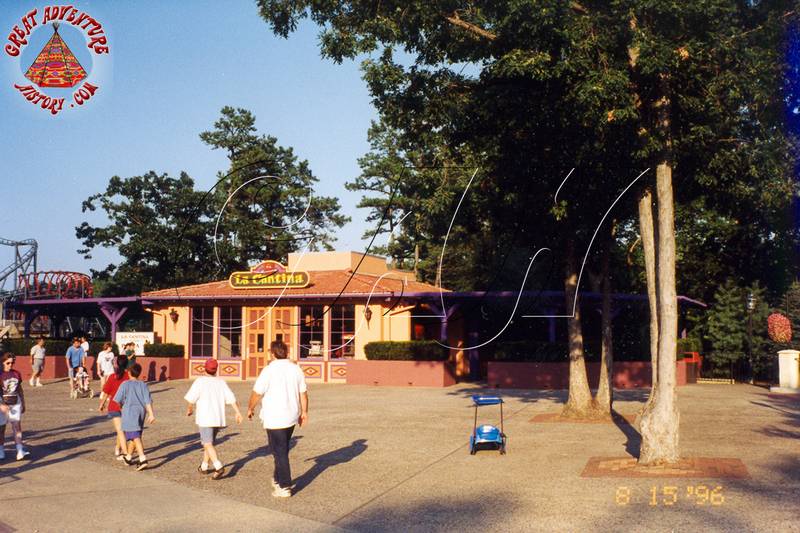 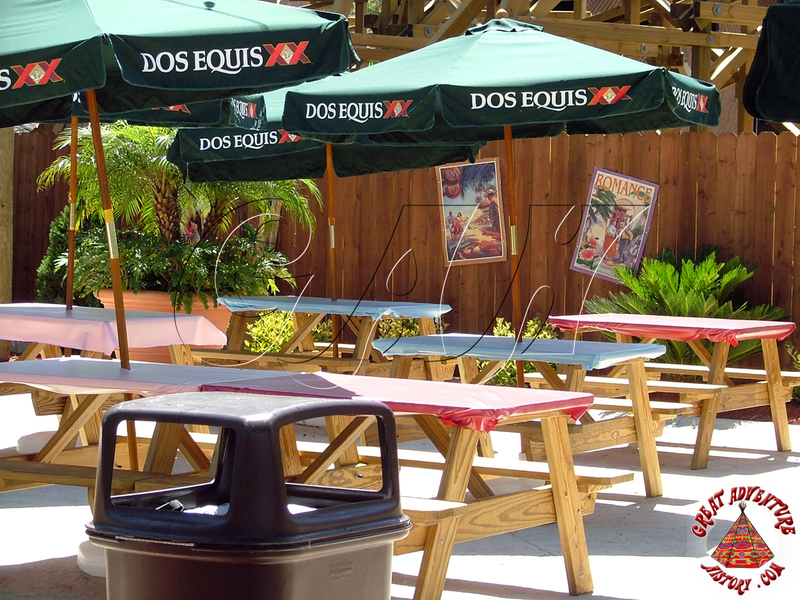 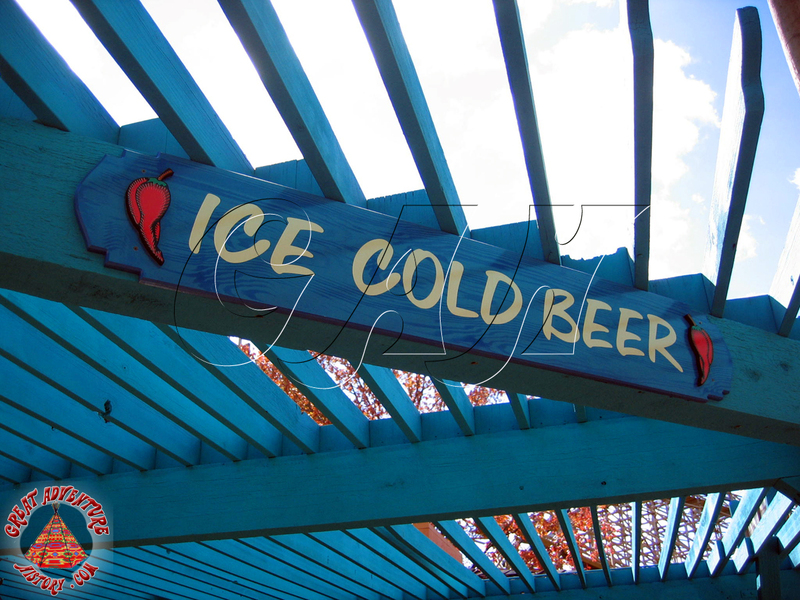 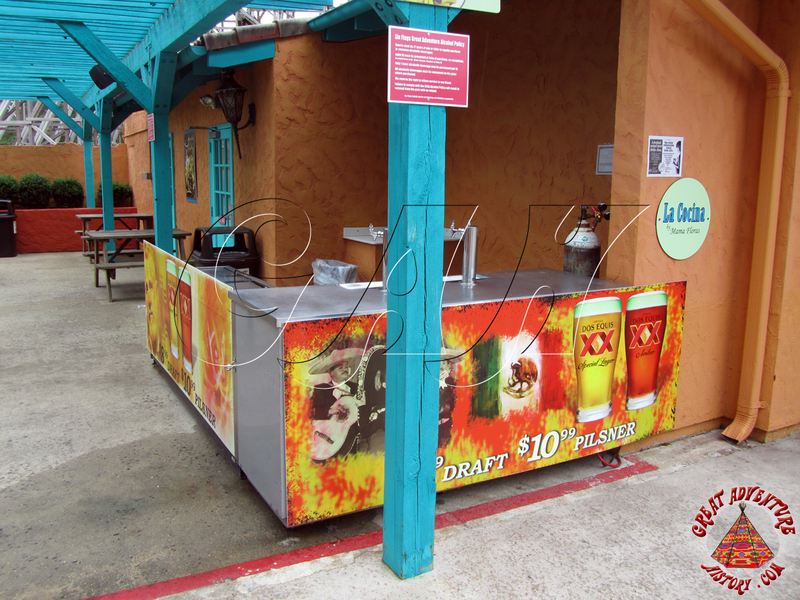 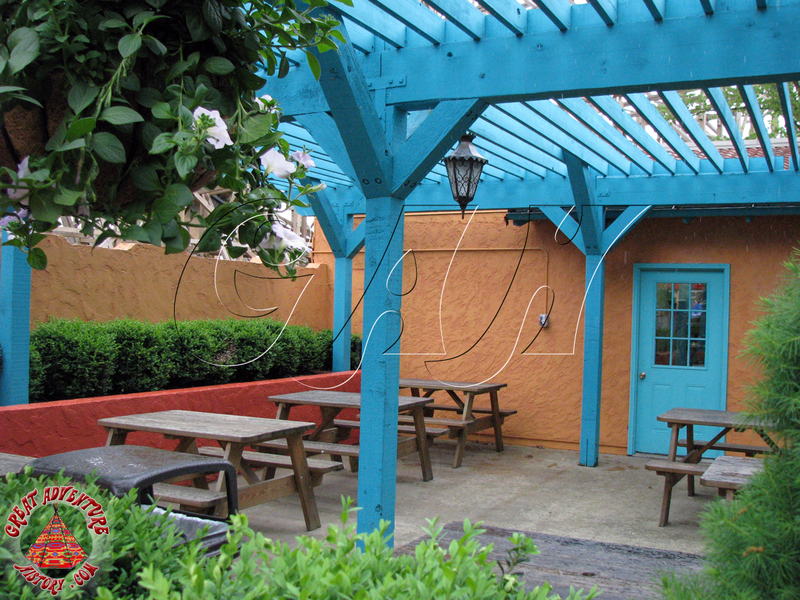 La Cantina continued to serve Mexican food along with hot dogs for many seasons, offering guests covered dining patios on both sides of the restaurant. 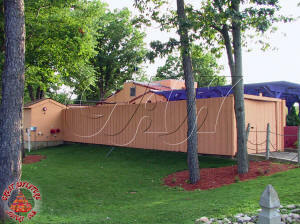 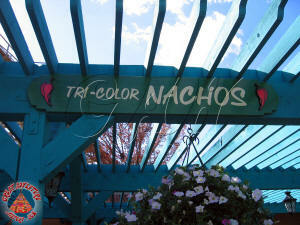 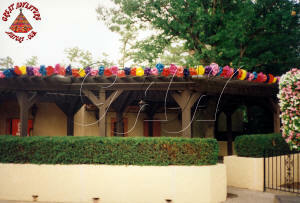 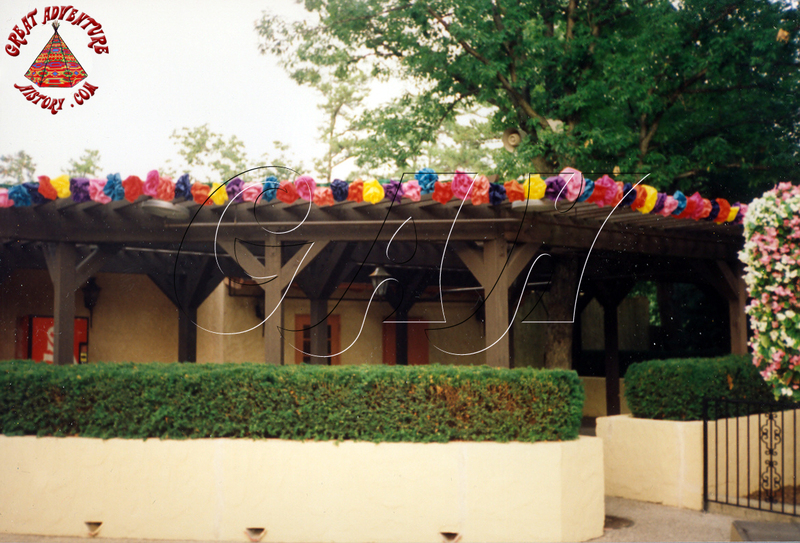 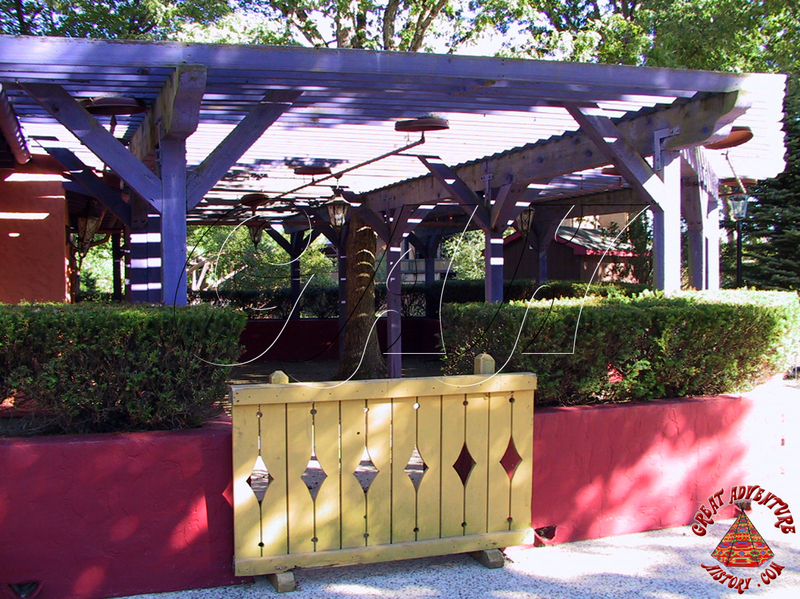 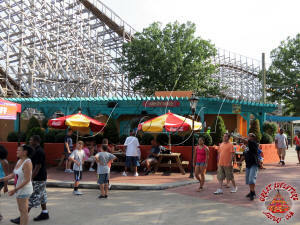 The building was repainted in bright colors with the updates to the area in the 1990's as it was incorporated into the expanded neighboring western themed area to become a part of Frontier Adventures. 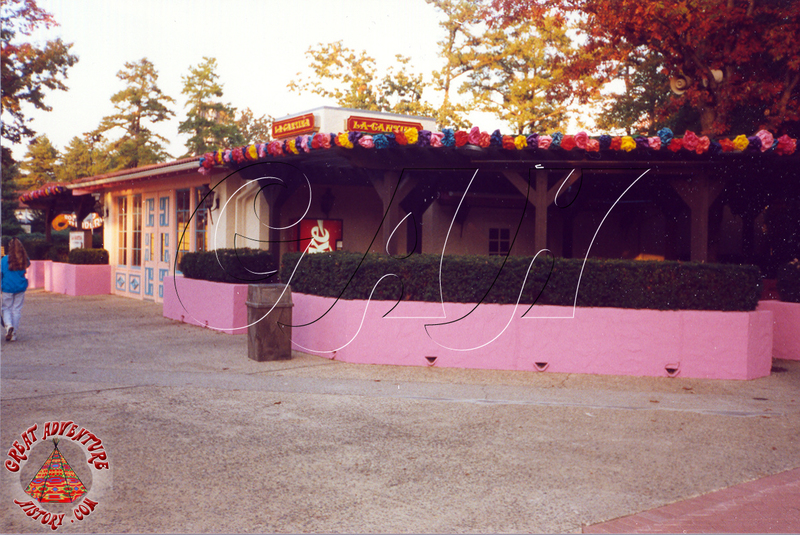 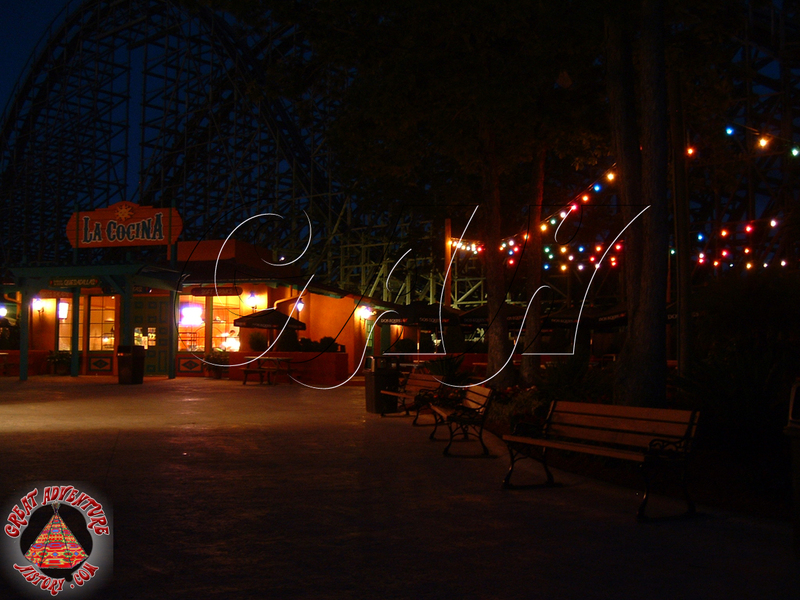 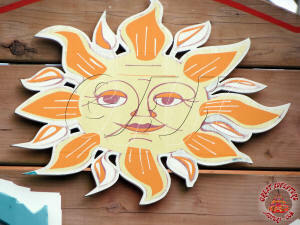 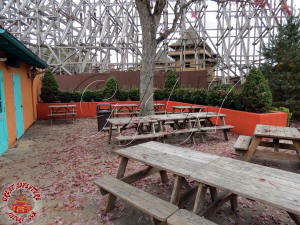 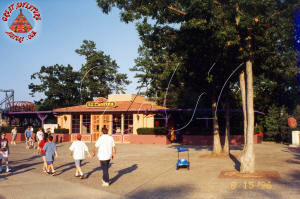 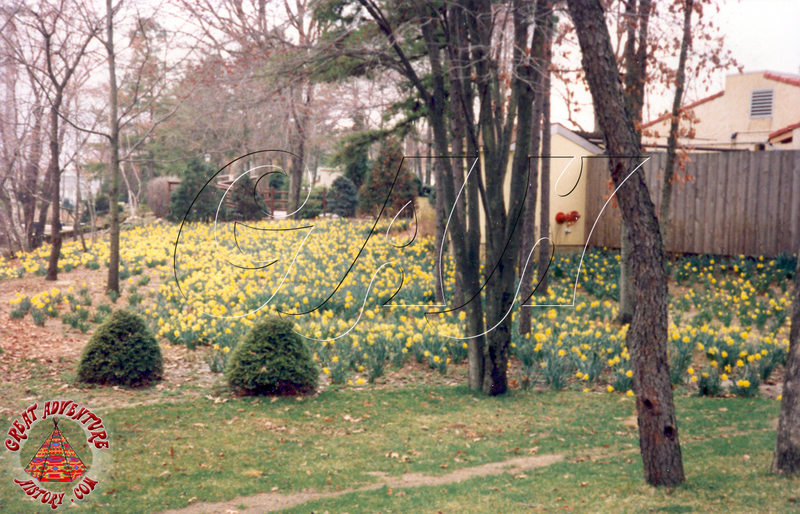 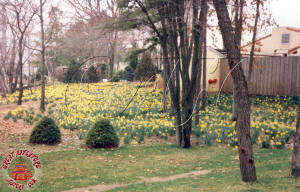 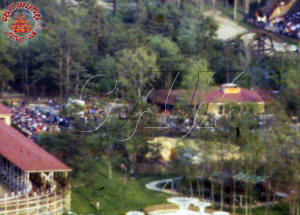 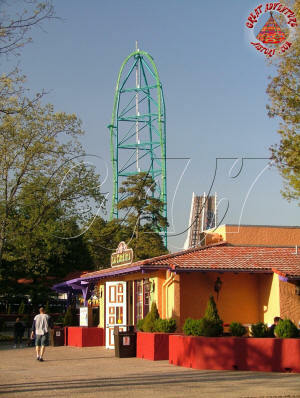 For several seasons the restaurant offered sporadic operating hours, usually open only during peak attendance days. 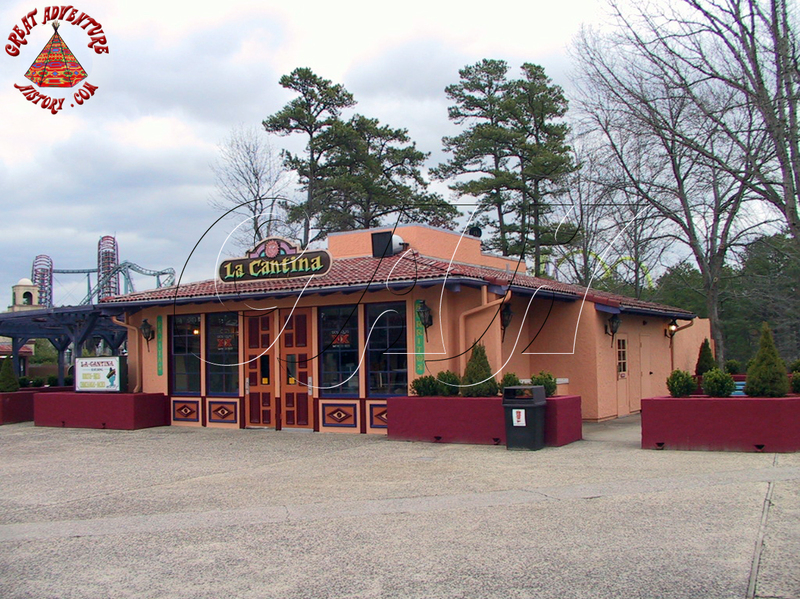 It wasn't uncommon to see La Cantina closed for most of a given year, depending upon the drawing power of the attractions around it that season. 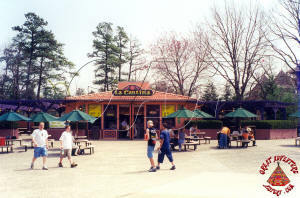 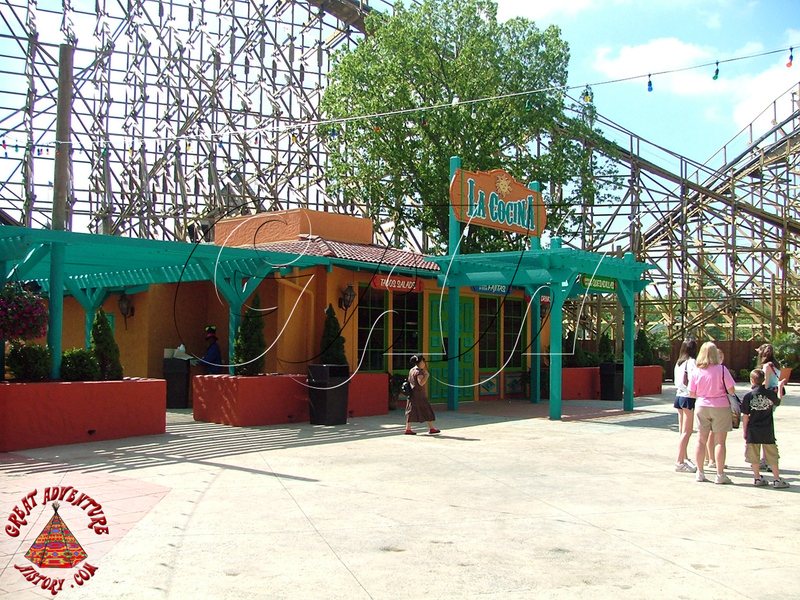 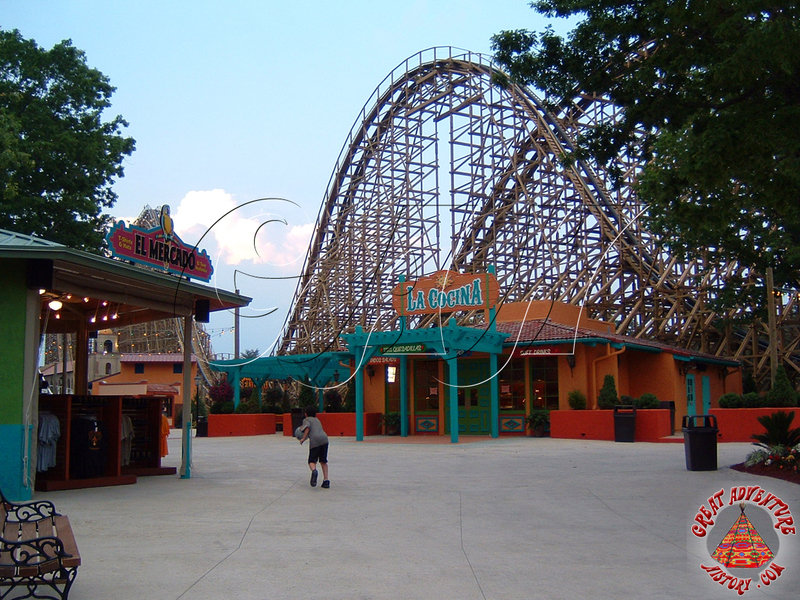 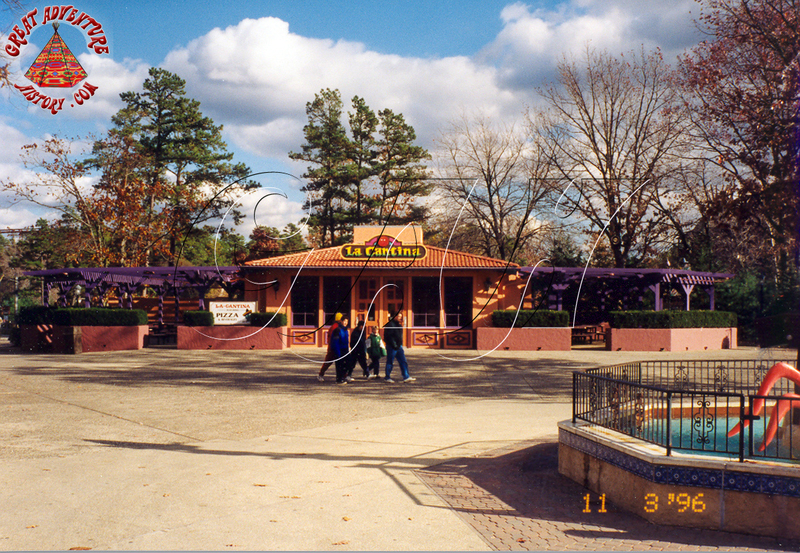 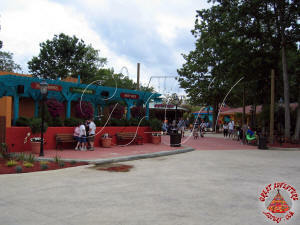 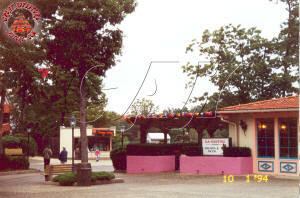 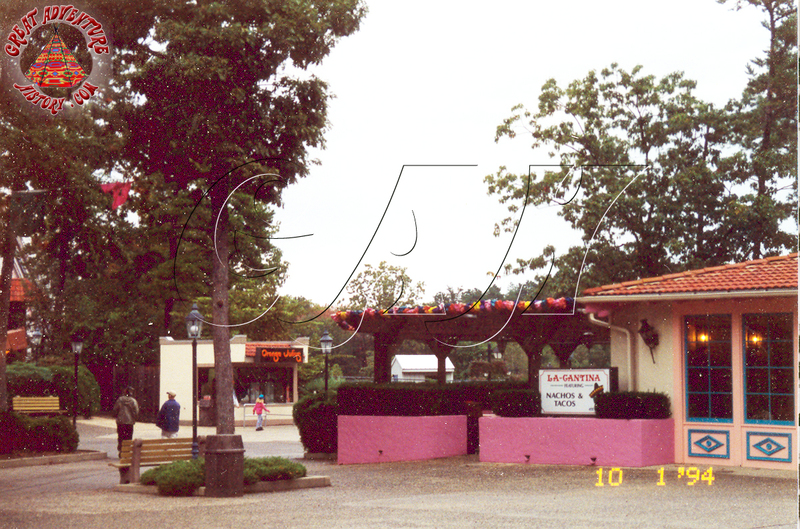 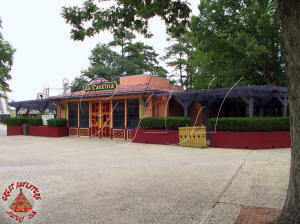 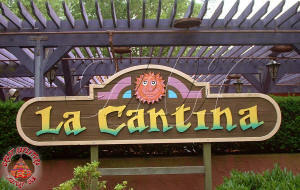 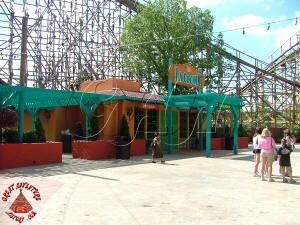 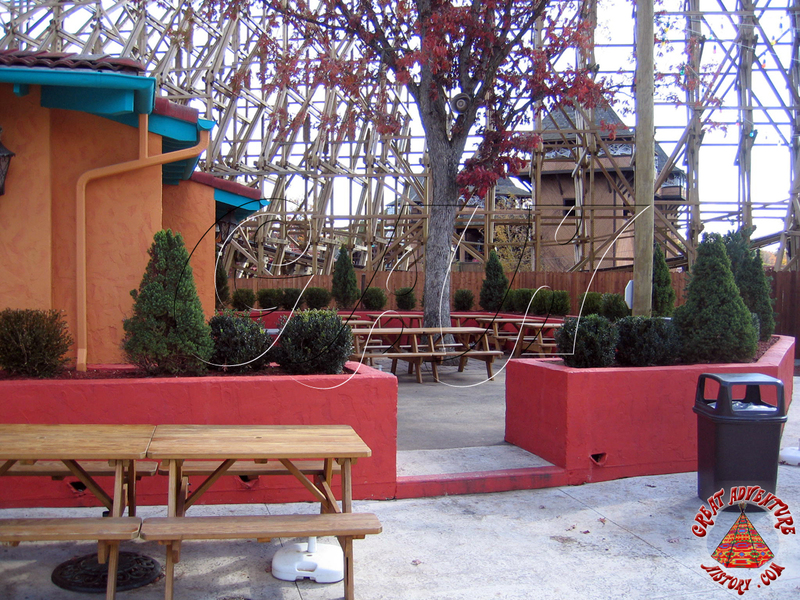 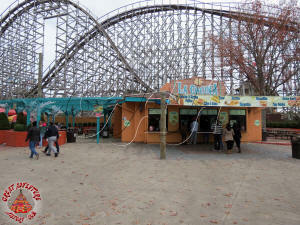 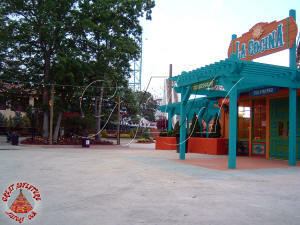 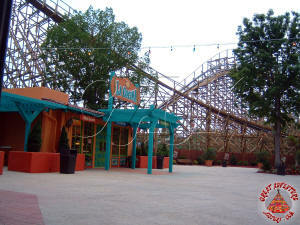 After Labor Day in 2005, La Cantina was officially closed along with the rest of the surrounding area for construction of the upcoming El Toro and the new Plaza del Carnaval area. 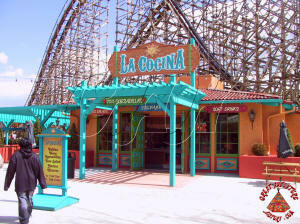 For the 2006 season the refurbished restaurant reopened under the name La Cocina as part of the Plaza del Carnaval makeover. 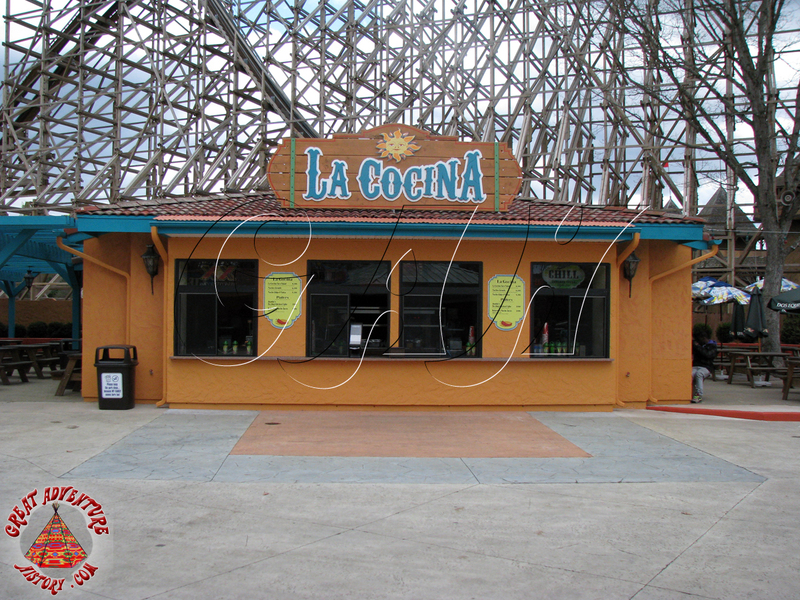 La Cocina, or "the kitchen", received a new freshly painted color scheme inside and out, a new entranceway, and new signage. 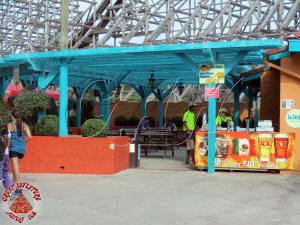 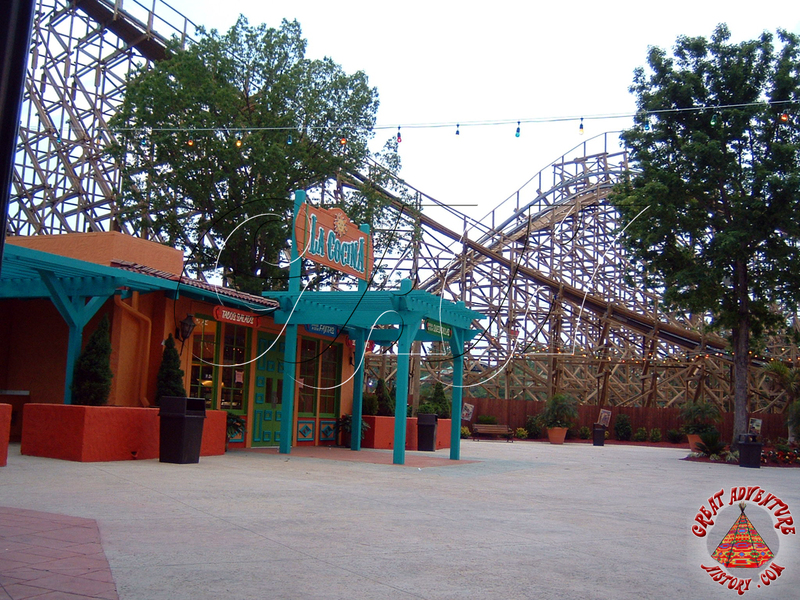 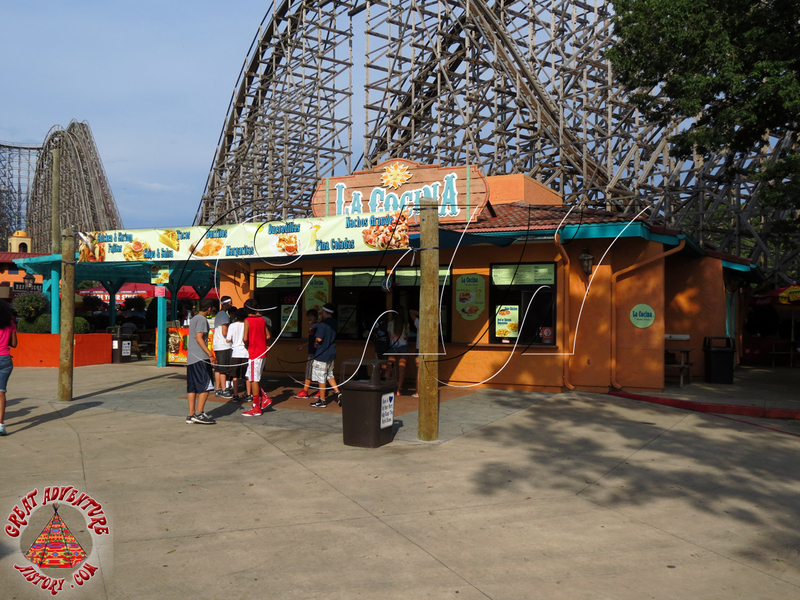 Mexican specialties, and the number of visitors to the restaurant increased dramatically given its close proximity to the new signature attraction, El Toro. 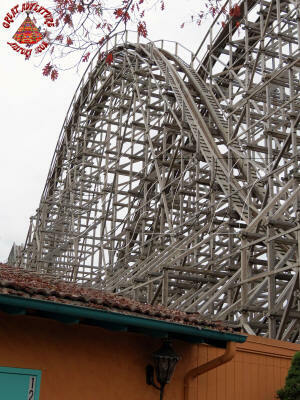 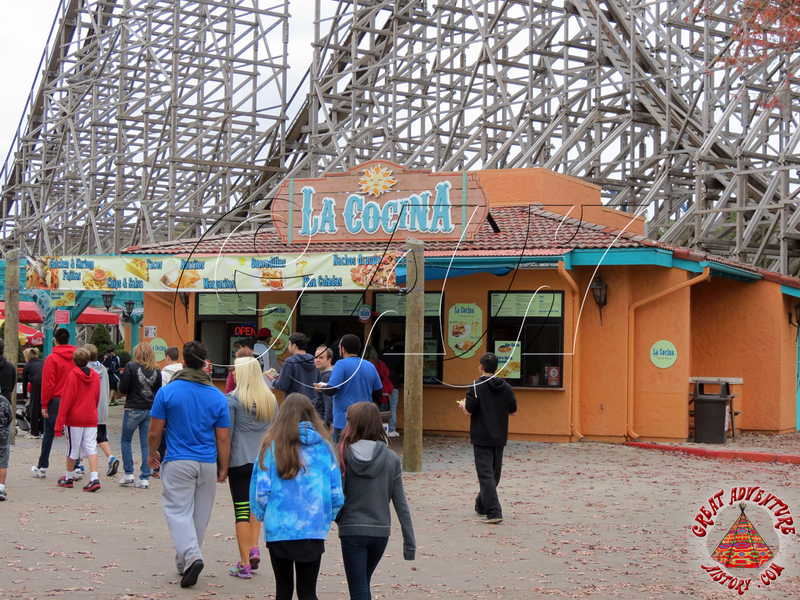 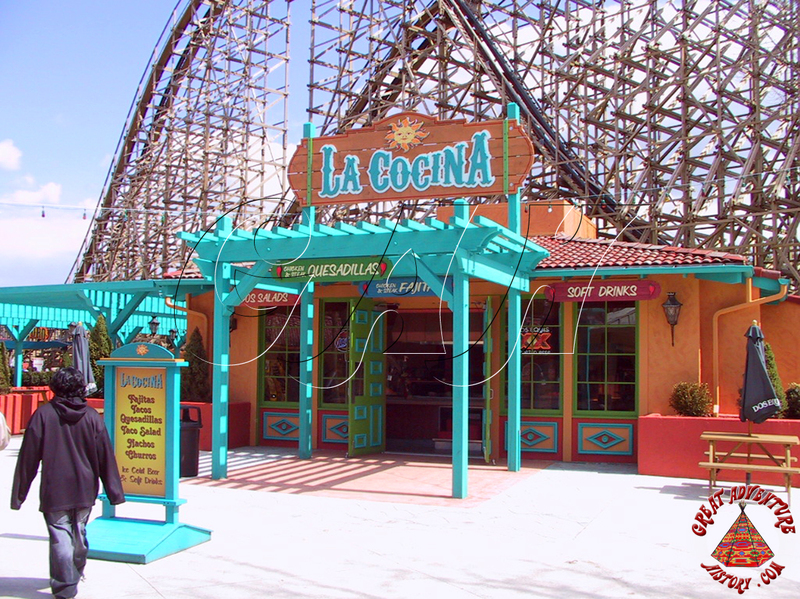 With La Cocina standing in the shadows of El Toro's massive wooden hills structure, the ride provided entertainment to the guest-filled patios with "the bull's" coaster trains charging by just a few feet away. 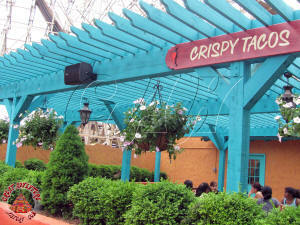 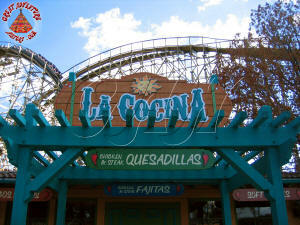 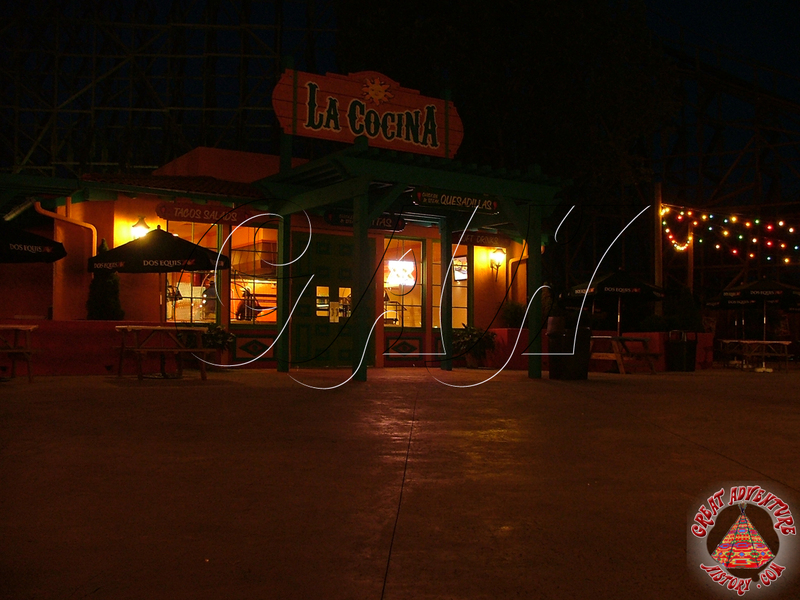 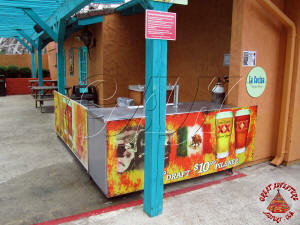 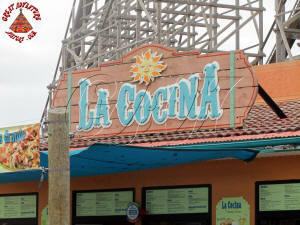 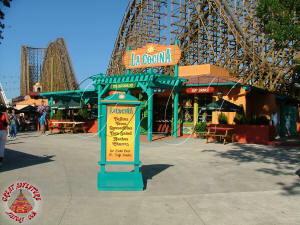 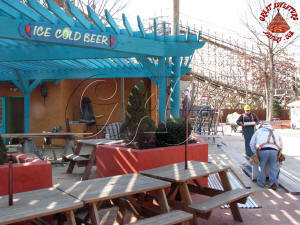 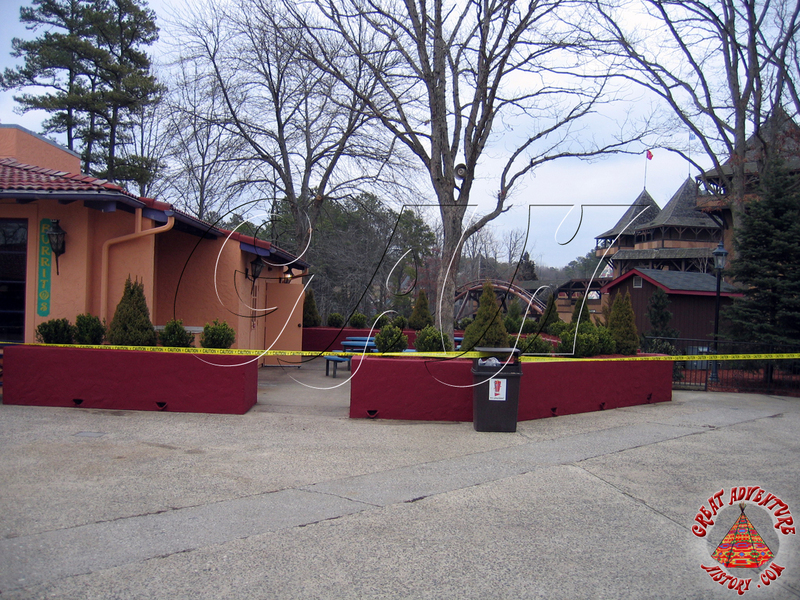 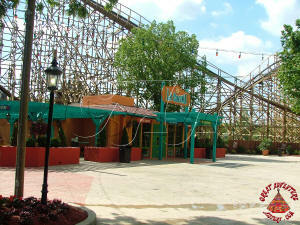 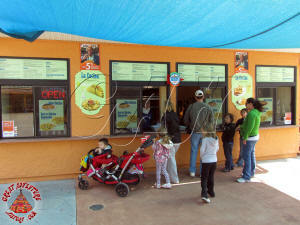 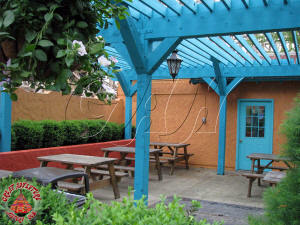 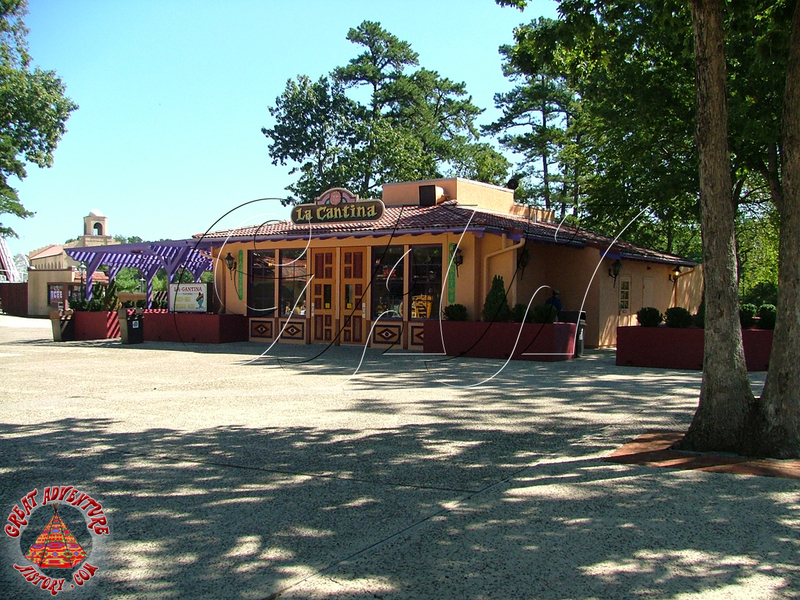 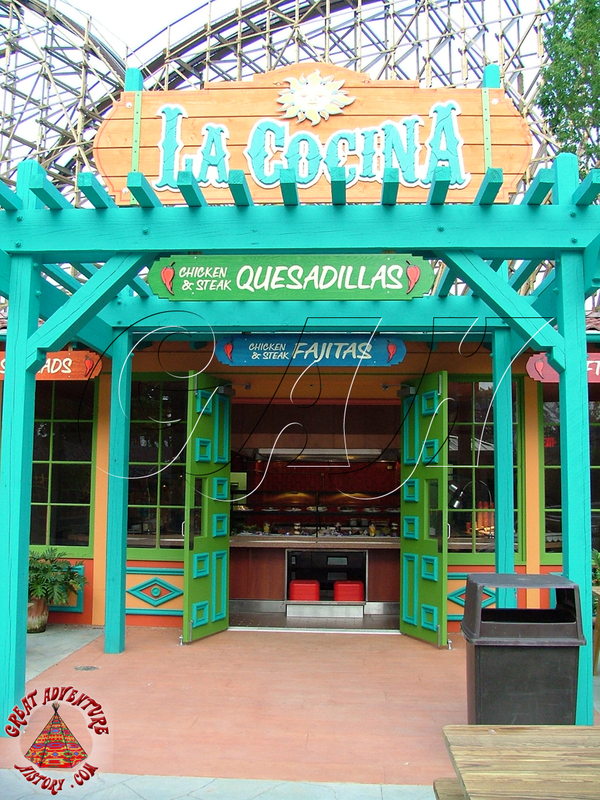 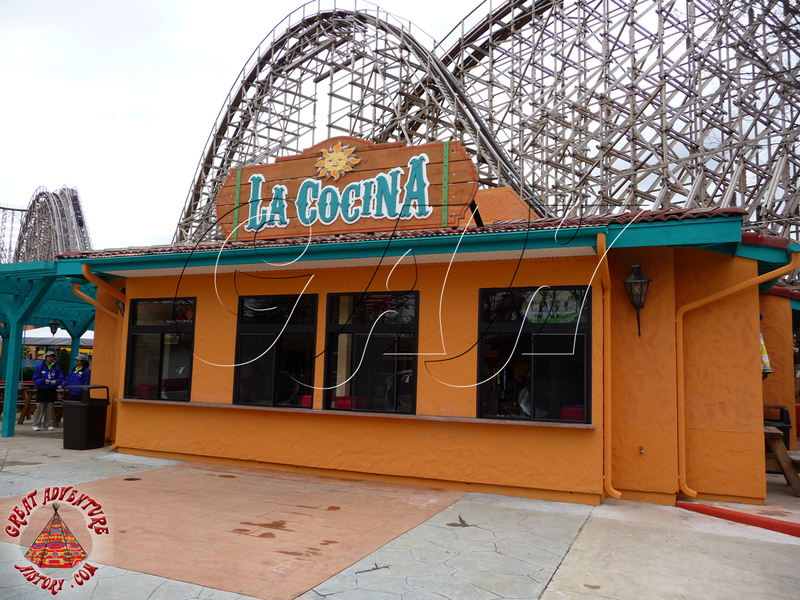 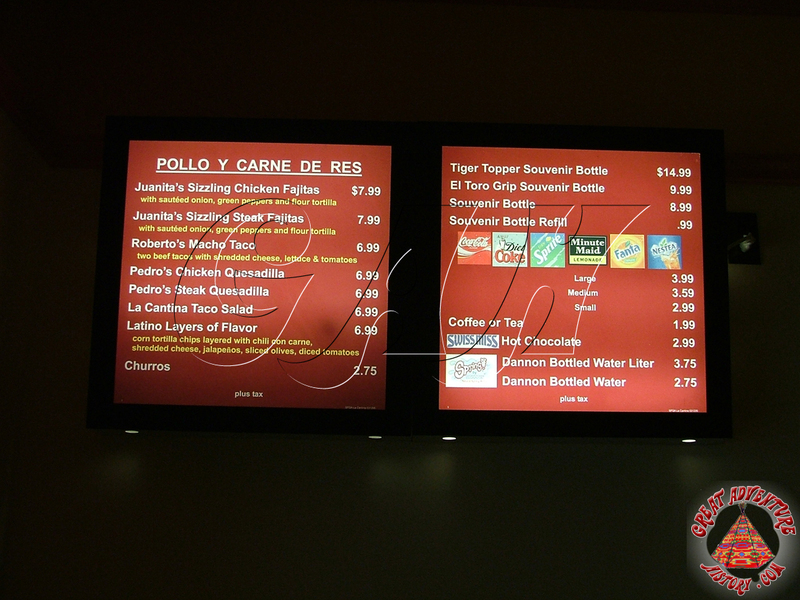 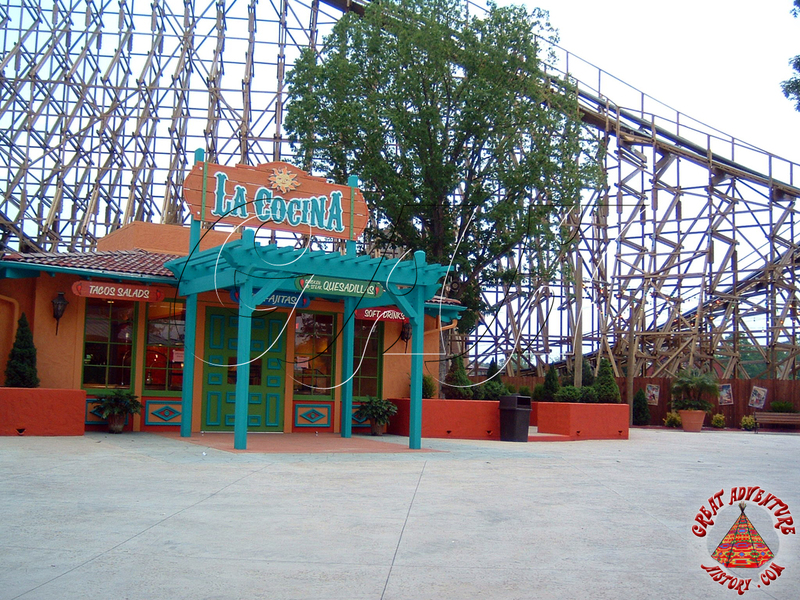 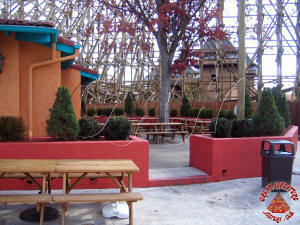 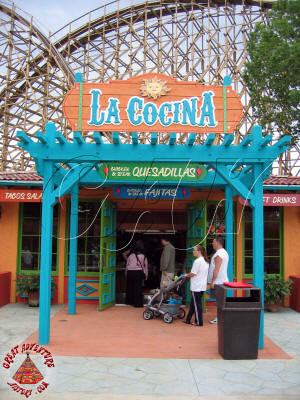 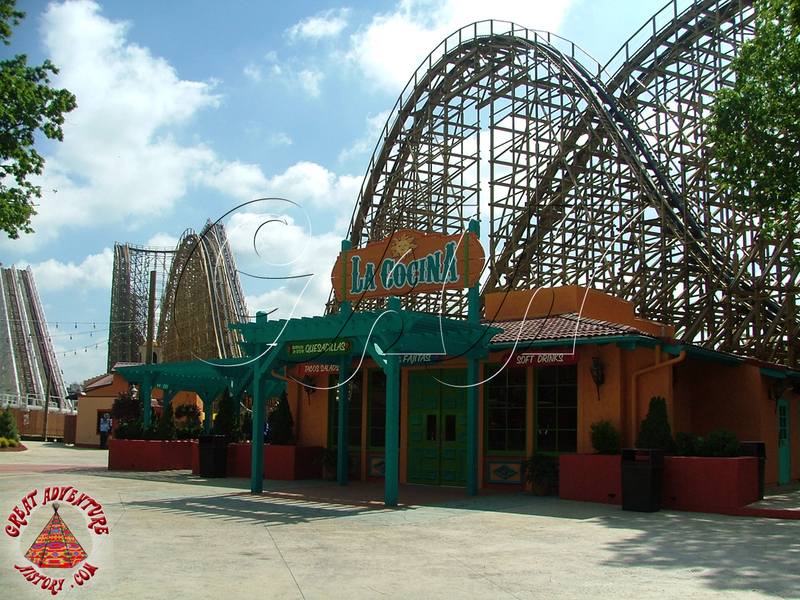 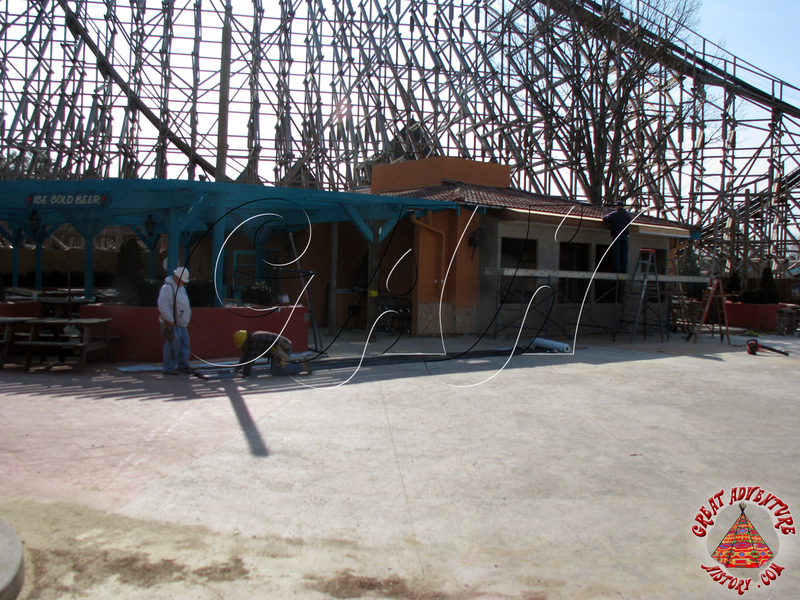 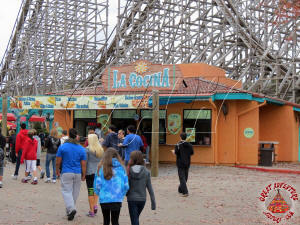 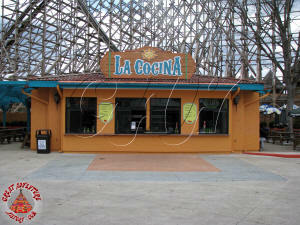 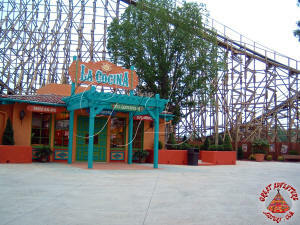 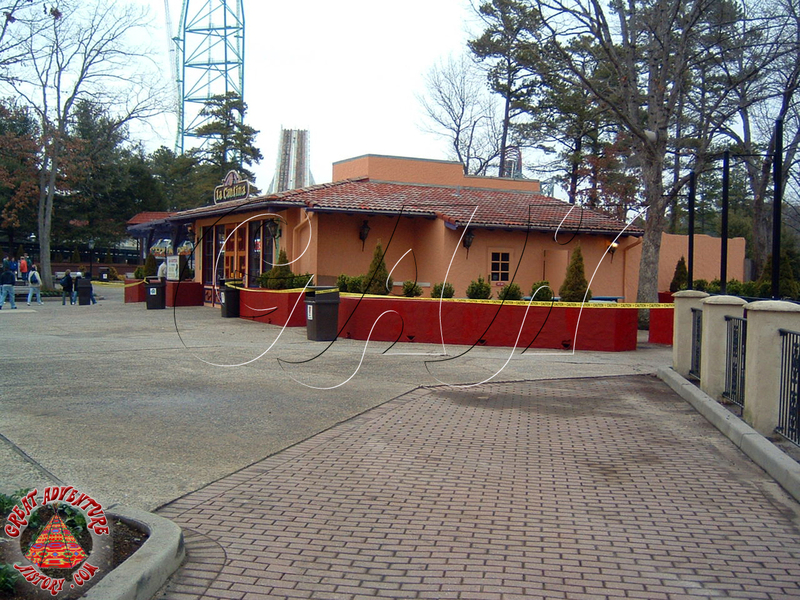 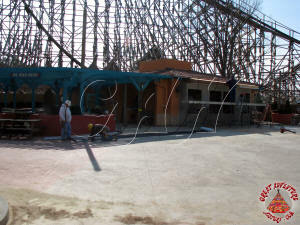 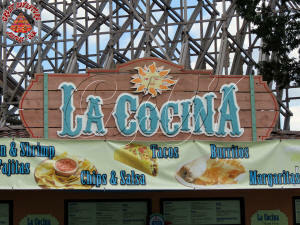 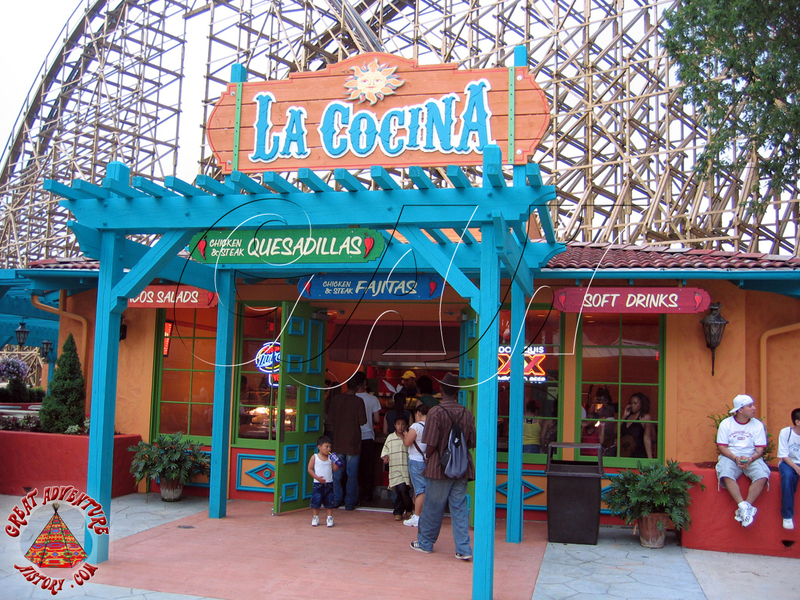 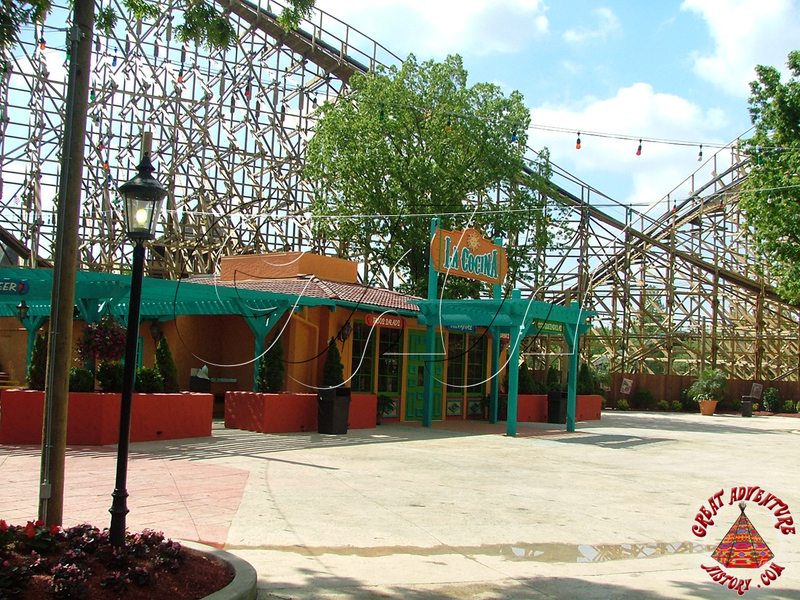 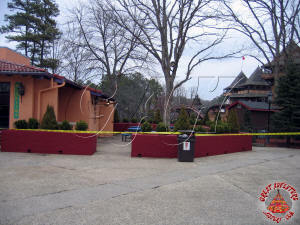 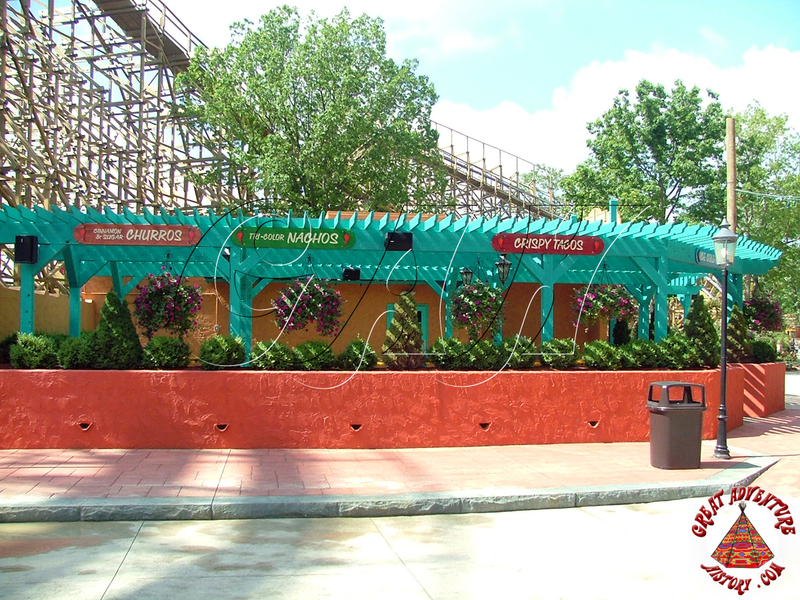 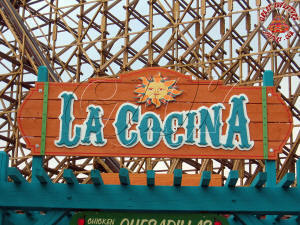 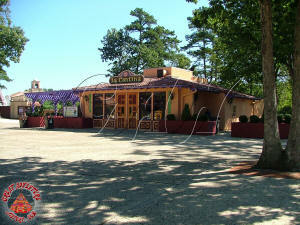 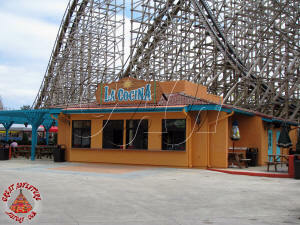 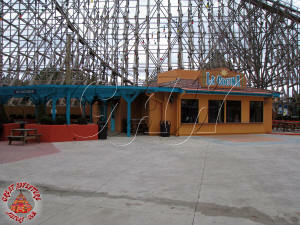 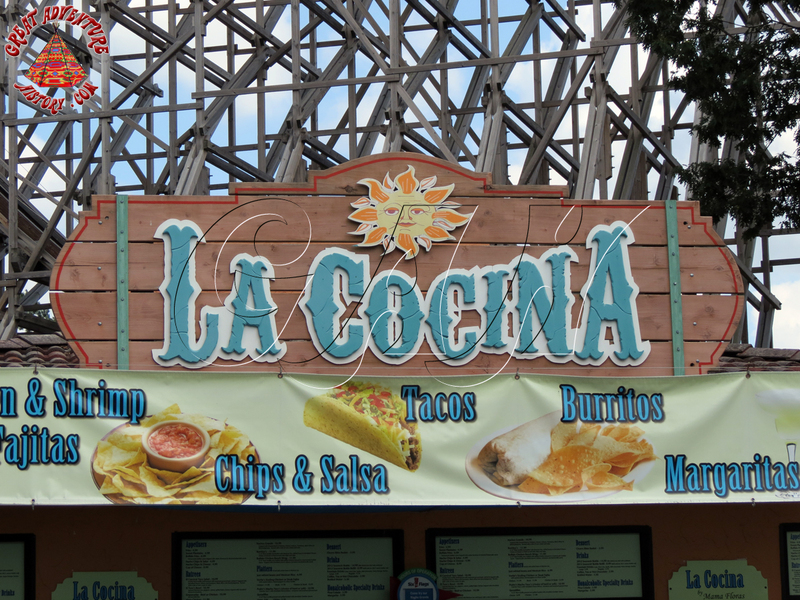 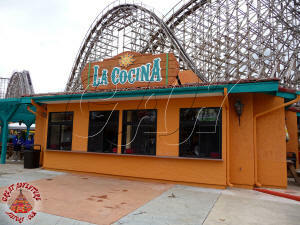 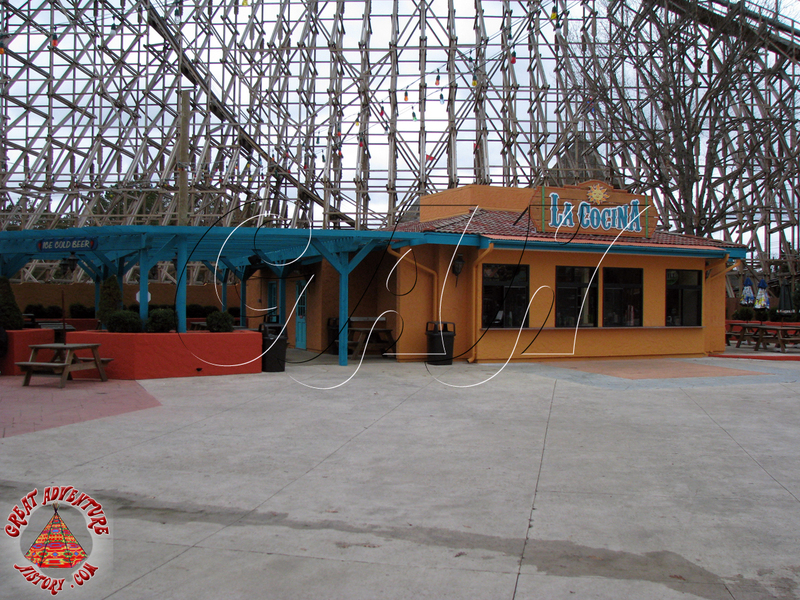 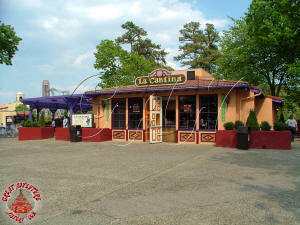 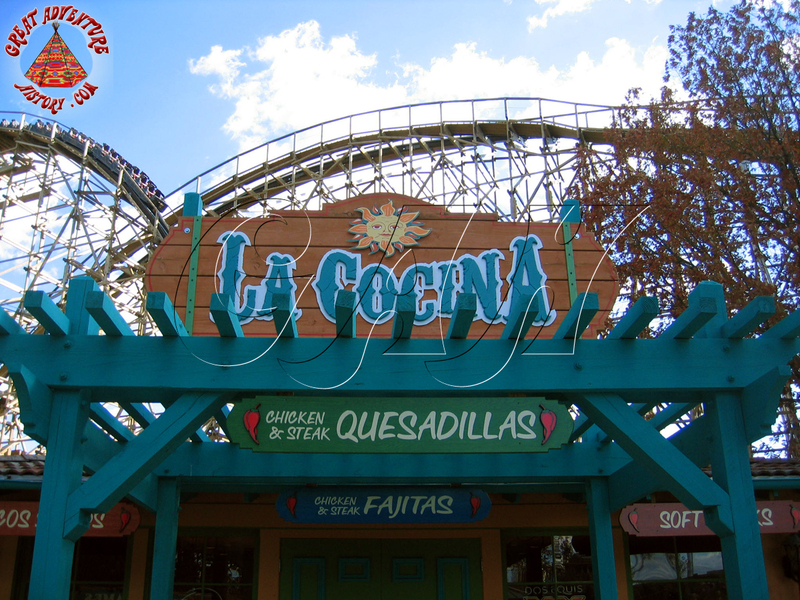 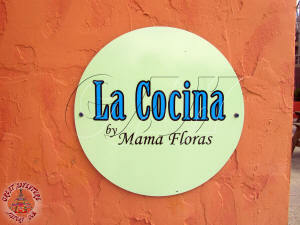 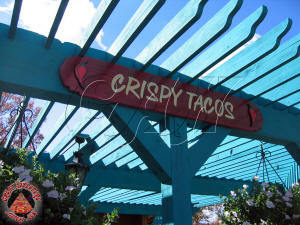 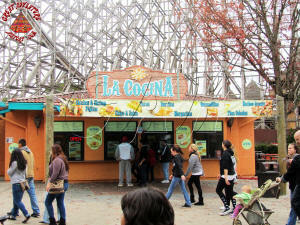 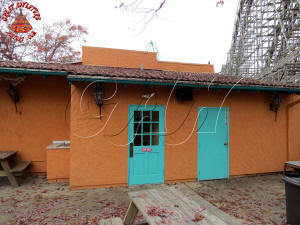 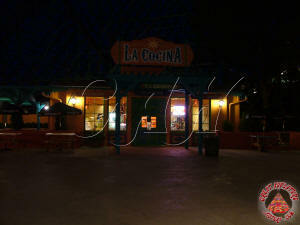 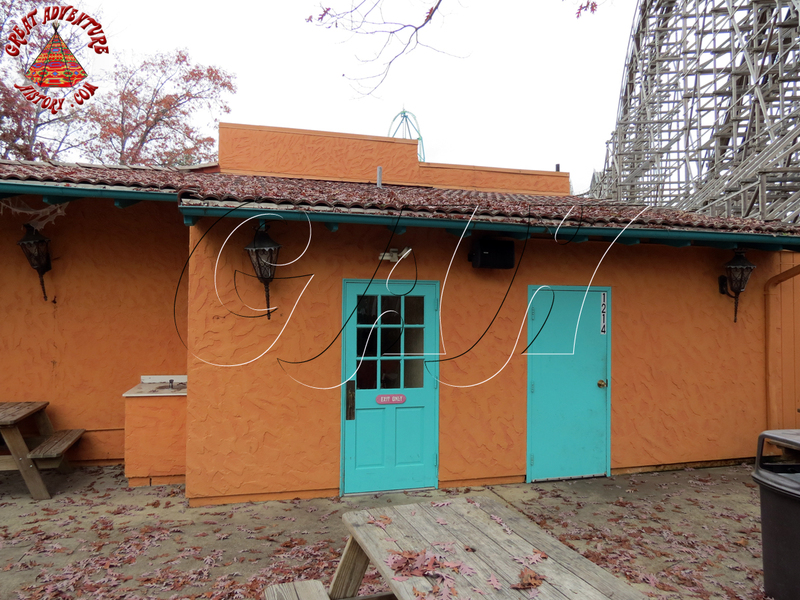 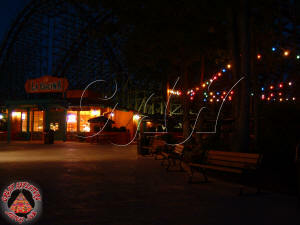 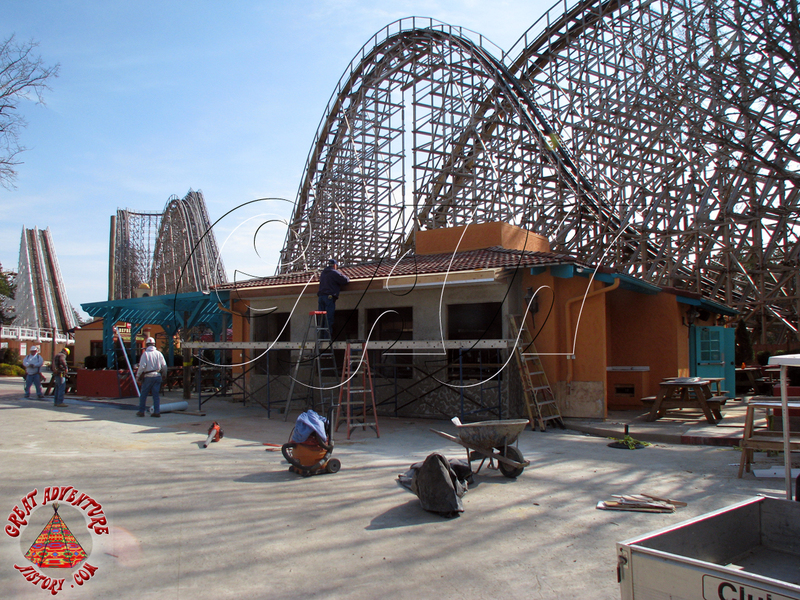 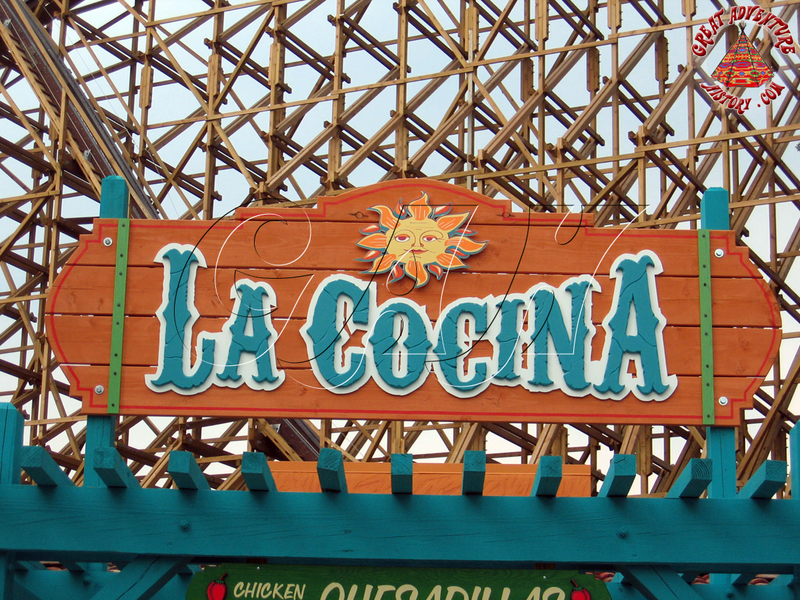 For the 2008 season, La Cocina was remodeled again, removing the interior queue area and creating a counter for service. 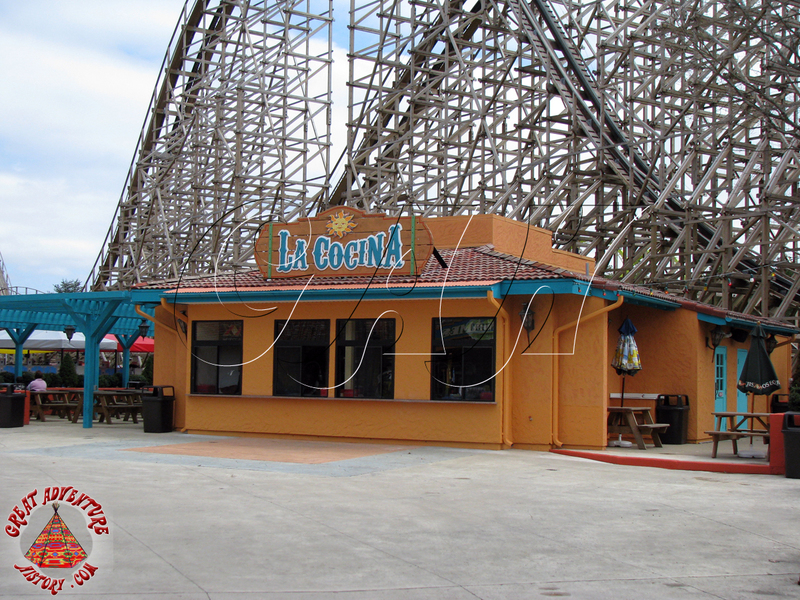 This allowed for the facility to expand its kitchen and food preparation areas resulting in faster service for its customers. 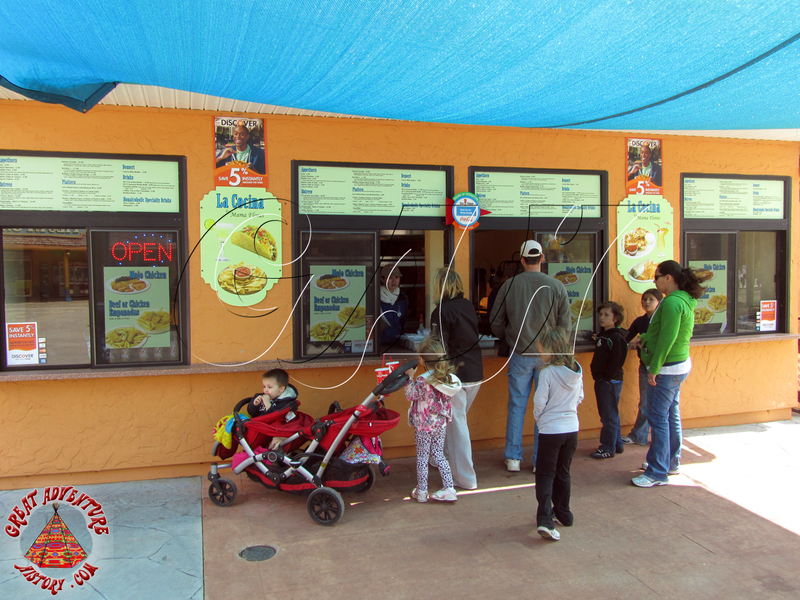 The front of the restaurant was fitted with a new sun shade as part of the makeover now that the queue was no longer indoors. 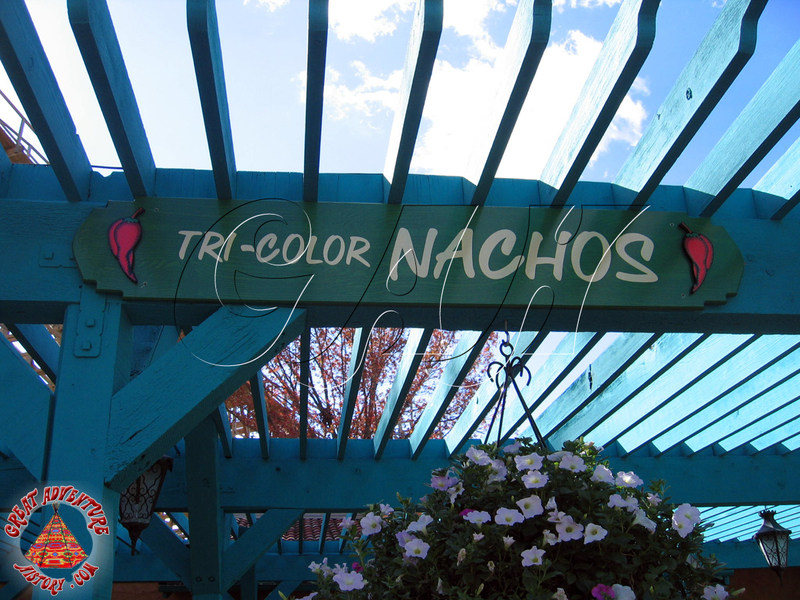 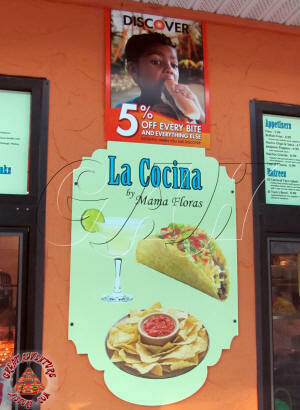 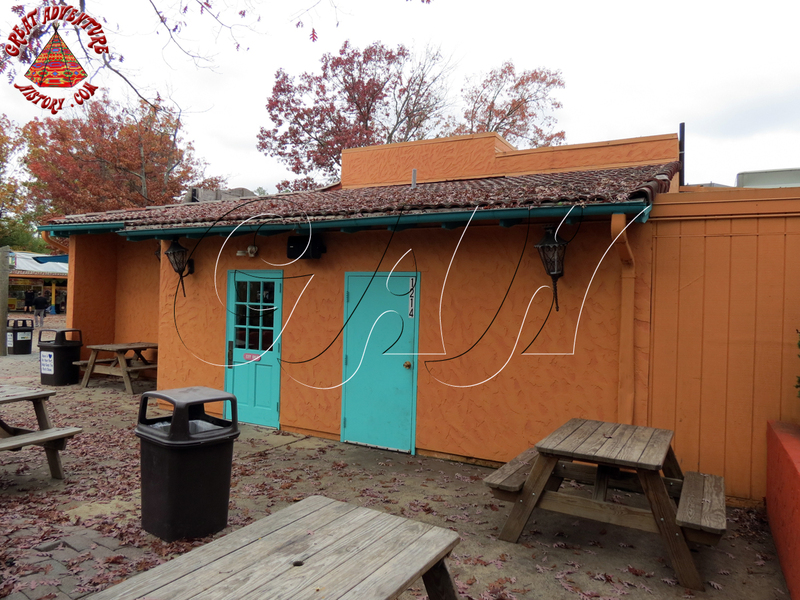 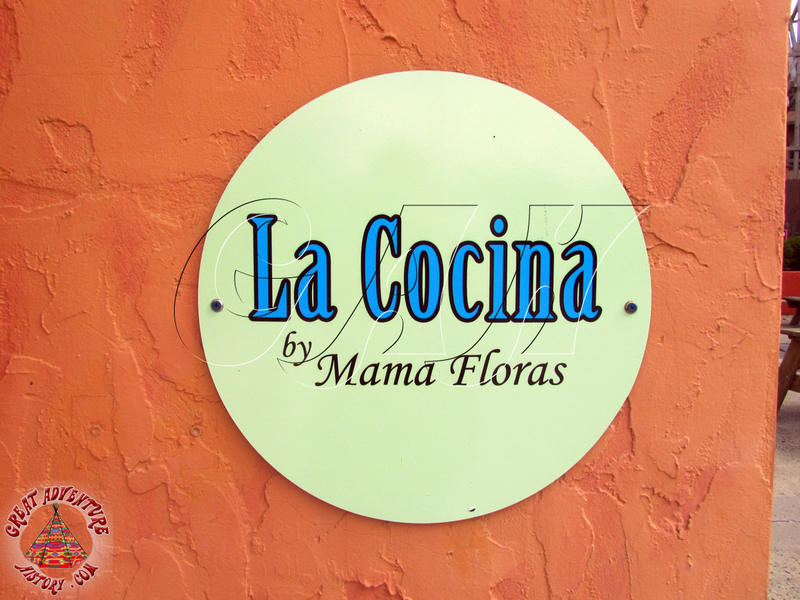 The management of Mama Flora's restaurant took over the operation of La Cocina in recent seasons, continuing the Mexican food selections with the same quality as their other food locations in the park. 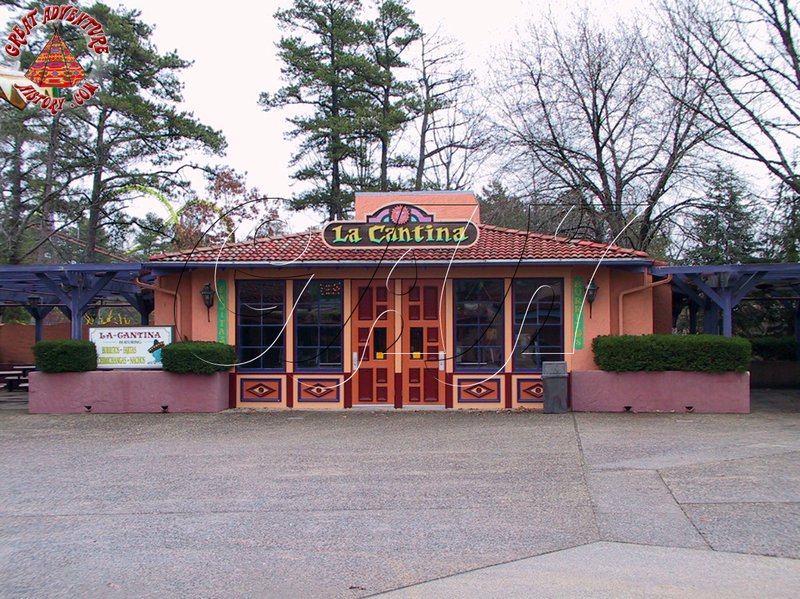 Although many changes have taken place at the park's largest Mexican restaurant over the past several decades, whether it's La Cantina or La Cocina, guests know where to go when they crave southwestern specialties.